1914 Field Service Postcards (not airmail), a display of 15 WWI cards, 5 unused - various printings and one without impressed stamp. Mounted on 8 sheets each with explanatory text. 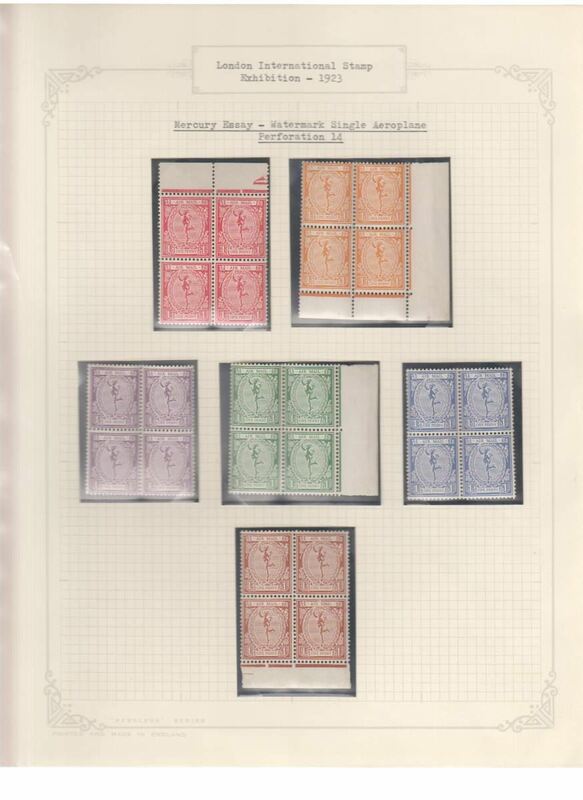 The Mercury Essay, London International Stamp Exhibition 1923, a study displayed on ten sheets. The essay was produced in six colours, on paper with single and multiple aeroplane watermarks, and in two different perforations. This collection presents all known combinations of these, most are in control blocks of 4, 6, 8, 12, or 21 (some 180 or so stamps in all). Ready for immediate display. Scans of each sheet will be found on the web site. NOTE: all leaves and stamps are fine. Any discolouration seen on a scan is from its cellophane protector. 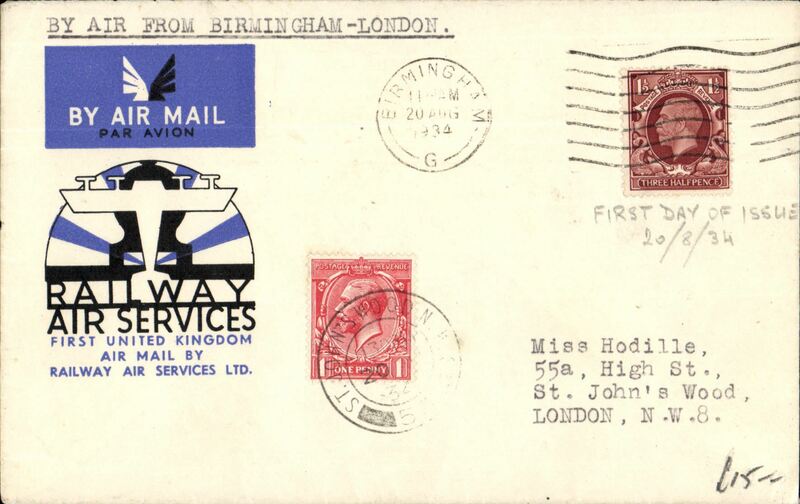 St. Lawrence Seaway Airmail Service, a collection of five airmail covers, July 1932 covers from London FS to Winnipeg via Cherbourg and SS Empress of Britain and London to Ottawa with seaplane slogan; Aug 1932 covers from Devon to Montreal at 2 1/2d rate and Montreal to Portsmouth per RMS Empress of Britain and aeroplane to Straits of Belle Isle. 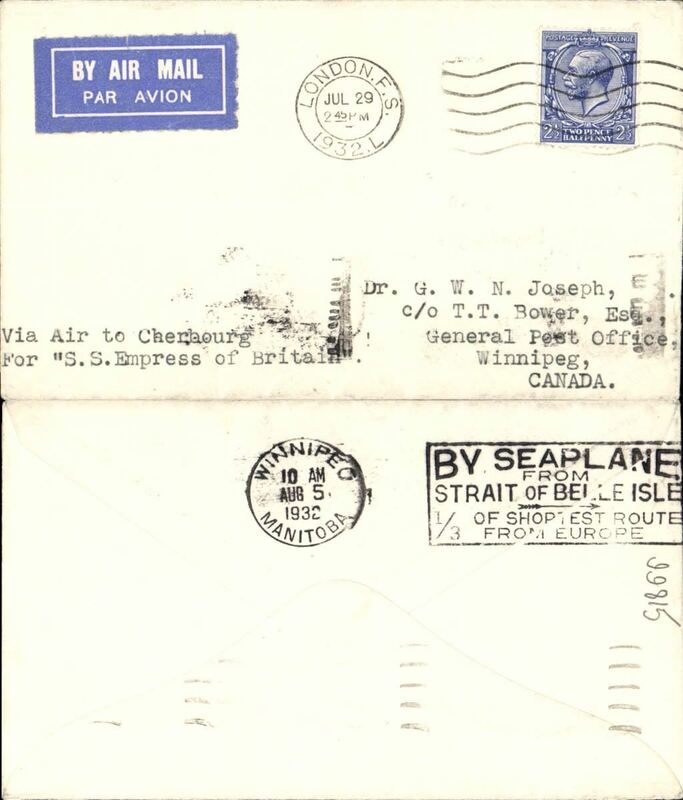 and Oct 1934, last dispatch London SE 18 to Victoria BC with Montreal transit, flown Montreal-Rimouski. Also an original B&W PPC of 'Empress of Britain' in front of Chateau Frontanec, Quebec. 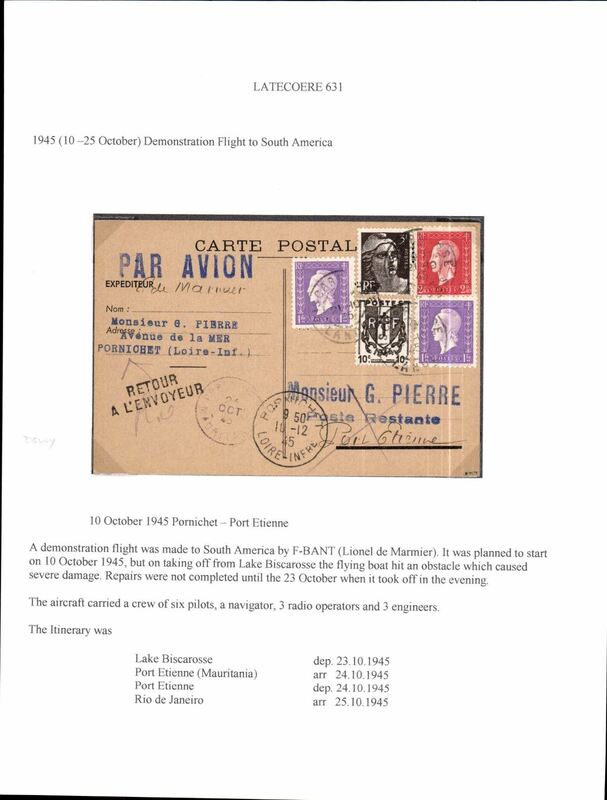 A 27 page A5 illustrated article, Beith's article 'The St. Lawrence Seaway Air Mail Service' accompanies this item and offers a great opportunity to research this little known service. See web site for front and back scans of all items in this lot. 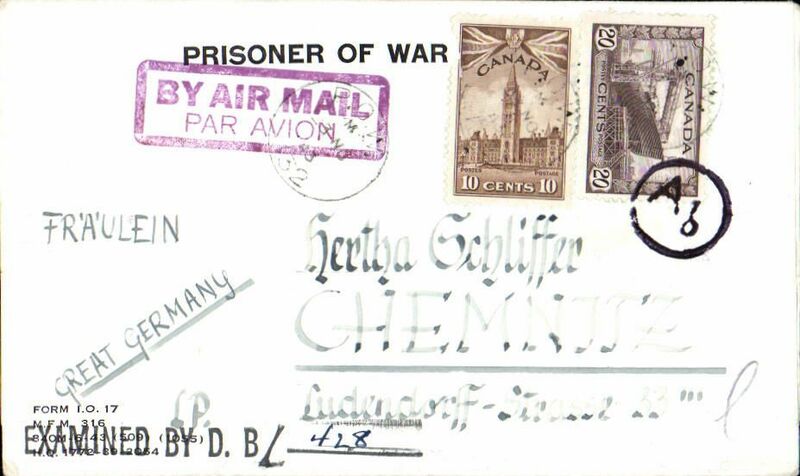 Canada collection of 18 first flights, 1933 (2), 1934 (8), 1935 (2), 1937 (2), 1938 (2) and 1946 (2), all fine, no duplication. See web site for front and back scans of all covers in this lot. 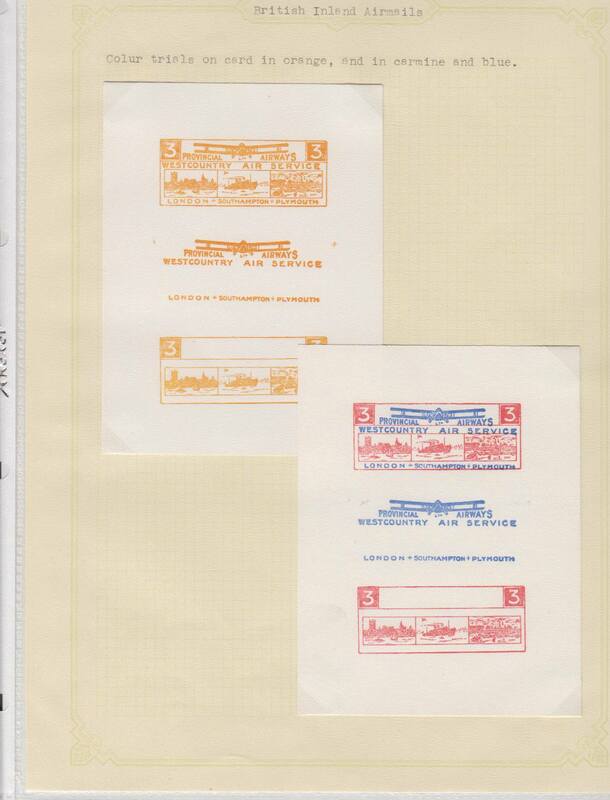 Railway Air Service, fine starter collection of 20 first flights, fine official covers 12 with back stamps and no duplication. See web site for front and back scans of all items in this lot. 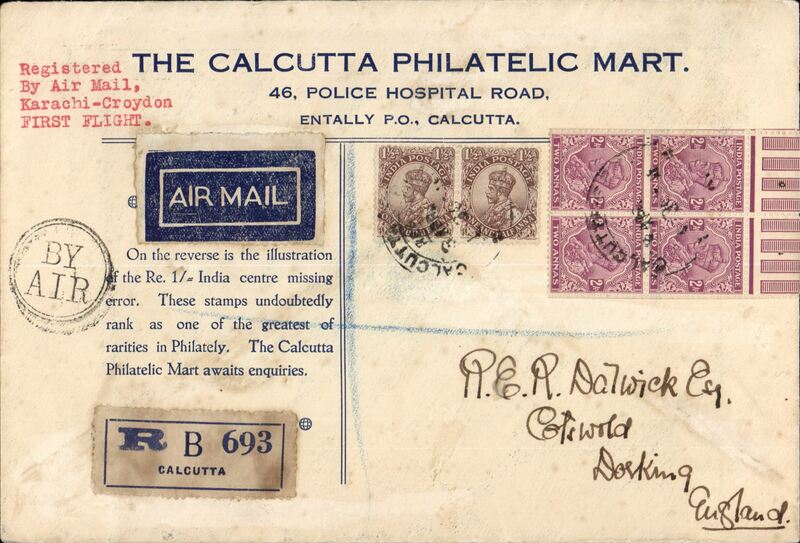 Railway Air Service, fine starter collection of 18 first flights, all fine official covers and no duplication. See web site for front and back scans of all items in this lot. 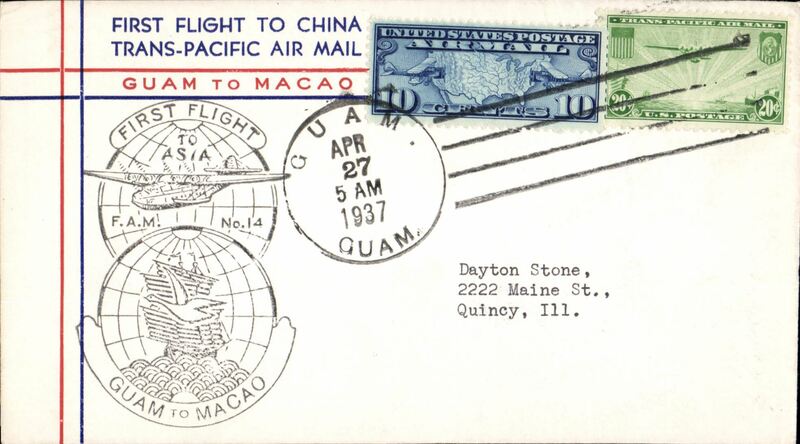 China Clipper extension of Trans Pacific service to Macao and Hong Kong, collection of 14 first flights, all different, fully cacheted and back stamped, fine. See web site for front and back scans of all items in this lot. 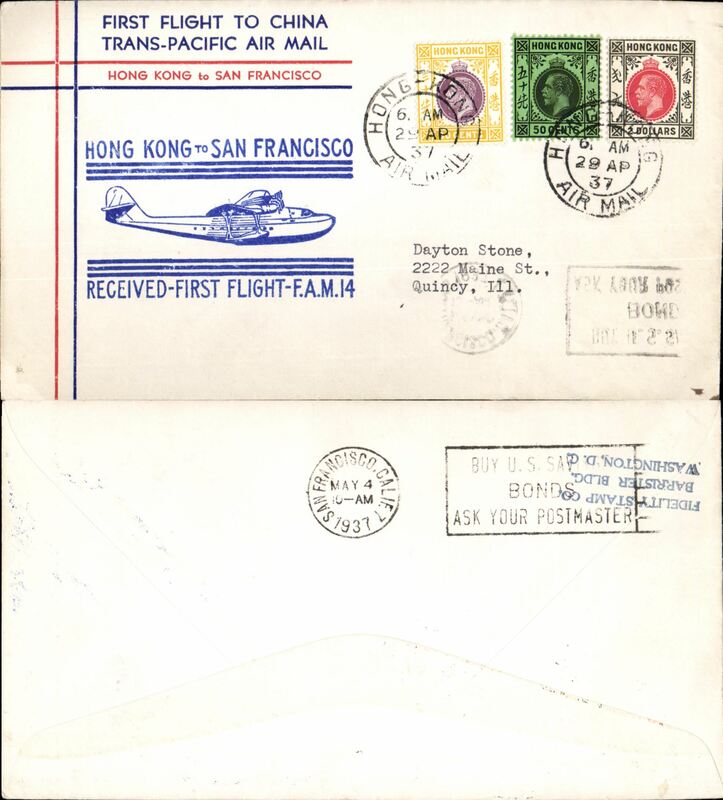 China Clipper extension of Trans Pacific service to Macao and Hong Kong, collection of 15 first flights, all different, fully cacheted and back stamped, fine. See web site for front and back scans of all items in this lot. Pan Am clipper service to Africa, a starter selection of 8 FAM 22 first flights, with covers to/from San Juan, Lagos, Gambia, Trinidad, Lagos and Brazil. This strategically important service linked Africa to the USA and opened just at the critical time when Japan attacked Pearl Harbour and the USA went to war.See web site for front and back scans of all items in this lot. Early Post war test flights 1946, collection of seven Pan Am early post war test flights to Bolivia, Panama, Brazil, St Lucia, Argentina, Costa Rica and Peru prior to the re-opening of services to South and Central America. 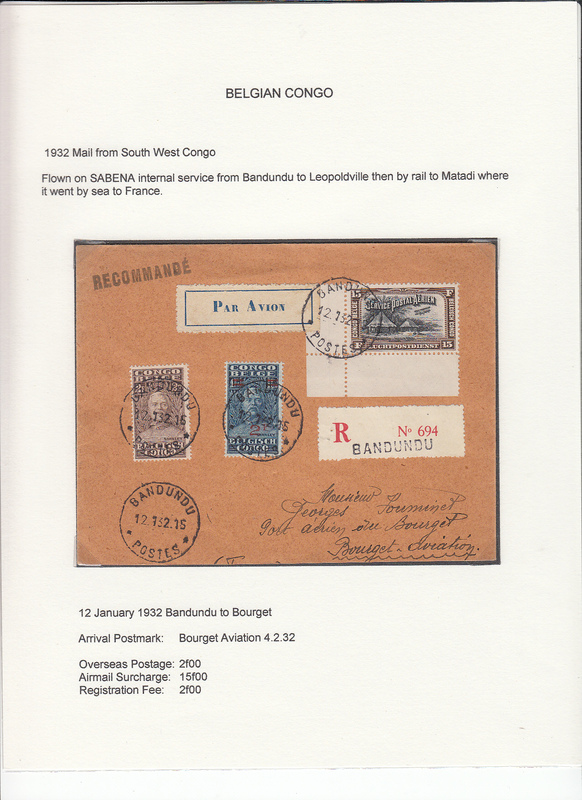 See March 1996 American Philatelist describing such covers as " souvenirs of an important new rate which is not listed in AAMC", and the article in Apr/June 1998 JLKAL by R Saundry about the, as yet, unrecognized, scarcity of these covers. Scans of the front and back of all covers in this collection will be found on the web site. Peru, 24 first flights,1947-66, all fine and all scanned on the website. 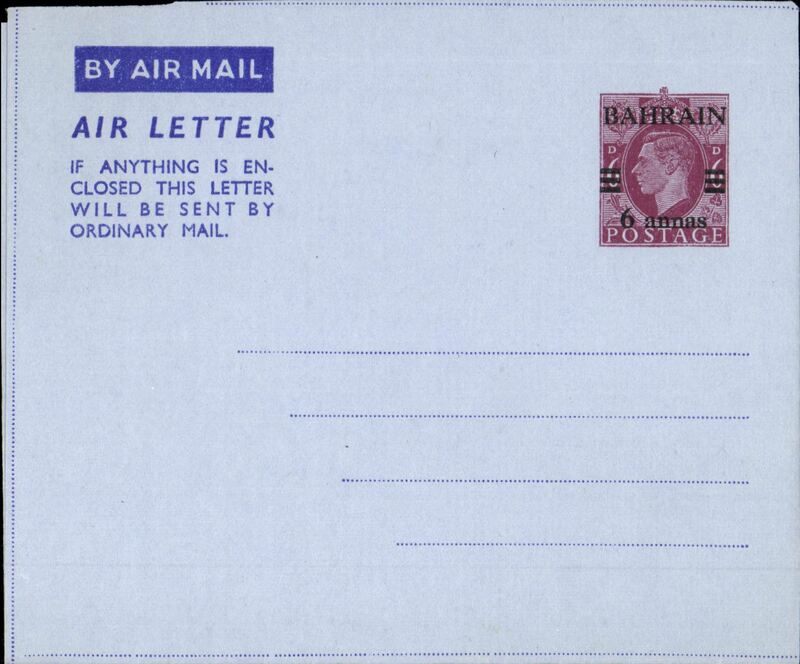 Bahrain, 10 unused air letters, KGVI (1), QE (9). All scanned on website. 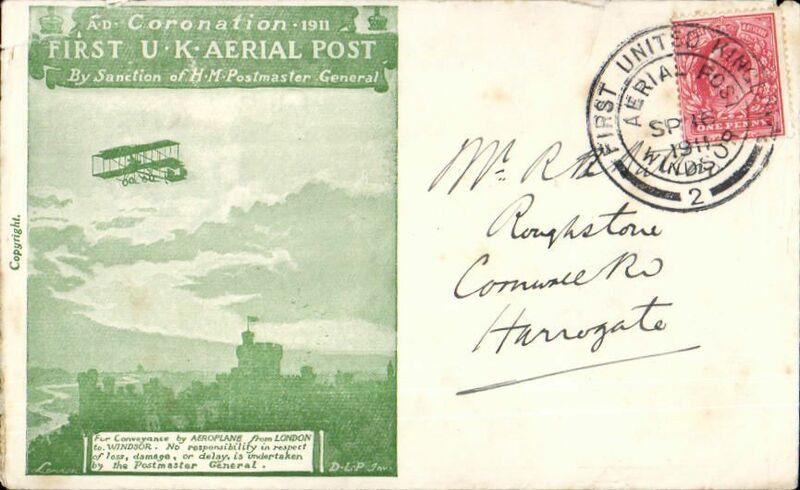 First BEA night airmail service between Manchester and Belfast; also the first time Eire-GB mail was flown at the new 2 1/2d 'All Up' rate. 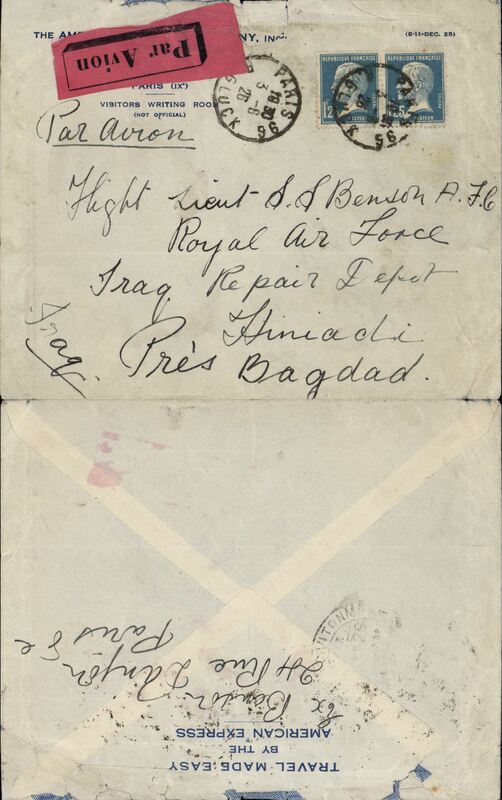 A collection on seven sheets containing eight covers from Manchester to Belfast (2) and Dublin (2), Belfast and Dublin to Manchester, all have appropriate cachets and arrival marks. 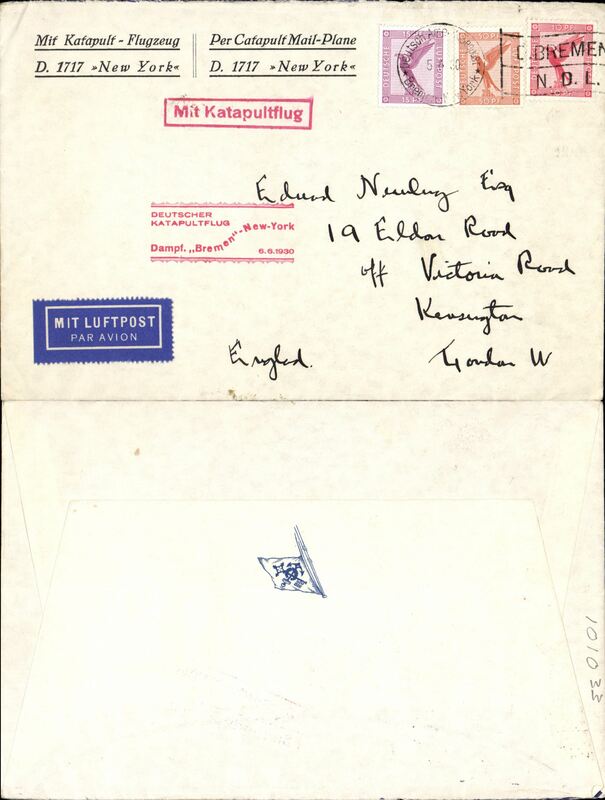 Also covers from Belfast-Manchester, and Manchester-Belfast bearing 6d Airway Letter Stamps and the appropriate Company cachet, and two letters from BEA on headed Company notepaper. Scans of each sheet will be found on the web site. NOTE: all leaves and stamps are fine. Any discolouration seen on a scan is from its protective cellophane sheet. RAF Meteorological Reconnaissance Flights, an exceptional collection displayed on nine leaves comprising a cover carried on the Polar flight of the RAF Lancaster 'Aries' on 10/5/45 and signed by the pilot and expedition leader; one of only three covers carried by Canberra Jet Bomber 'Aries IV' to the N. Pole on 13/12/54 and signed by the navigation officer D Bower; and a cover flown in an RAF Canberra in a navigation exercise to the Arctic Circle and signed by W/CDR IG Broom, the squadron commander. Also two pages of explanatory text and sundry related items. This exhibit is a good example of how much aerophilately and aviation history have in common. NOTE: all leaves and stamps are fine. Any discolouration seen on a scan is from the protective cellophane sheet. 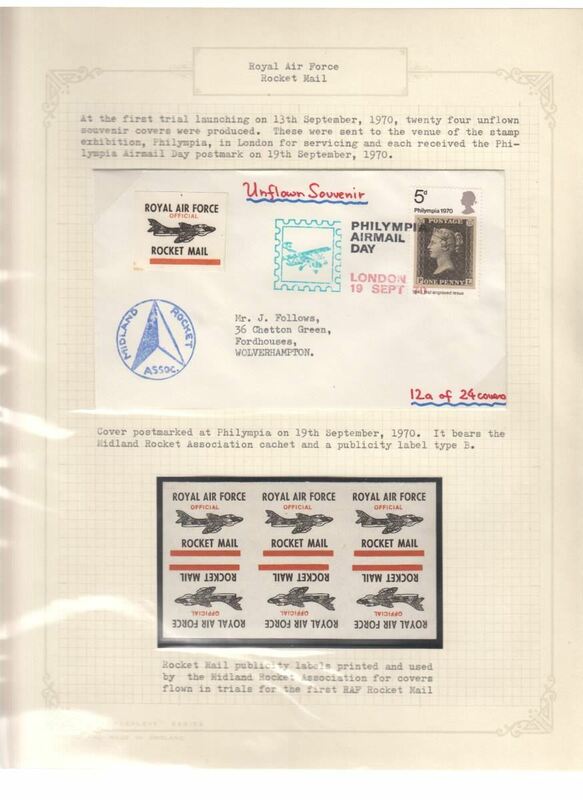 RAF Rocket Mail Cosford, 1969, 1970, 1971, an exceptional display on 15 sheets comprising 20 covers including proofs and colour trials; 5 photographs; and various ephemera. Scans of all items in this lot will be found on the web site. NOTE: all leaves and stamps are fine. Any discolouration seen on a scan is from its cellophane protector. 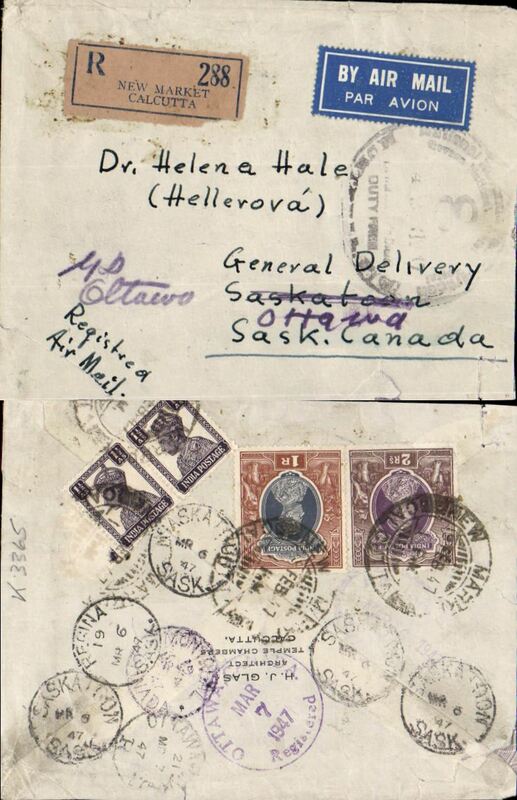 Canada, 14 first flight covers from 1928. 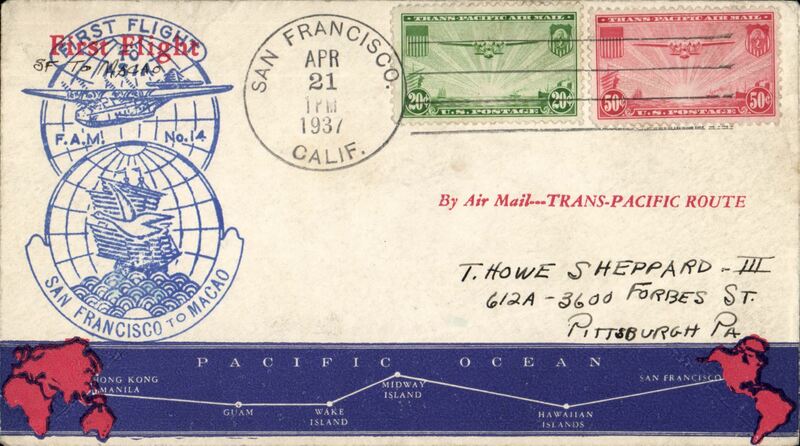 Airmail 1946 round trip test covers (12). 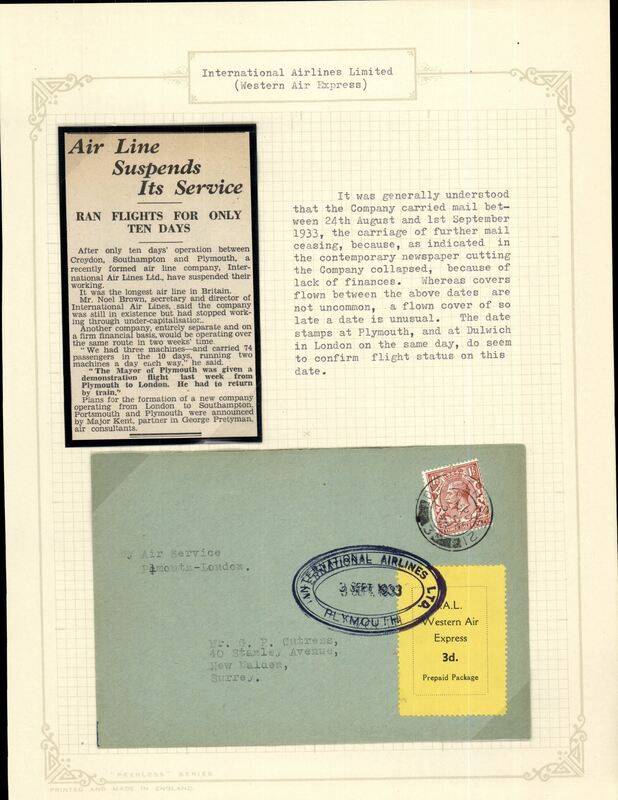 GB Internal selection of twelve Railway Air Service first flights, 20 August 1934, no duplication. 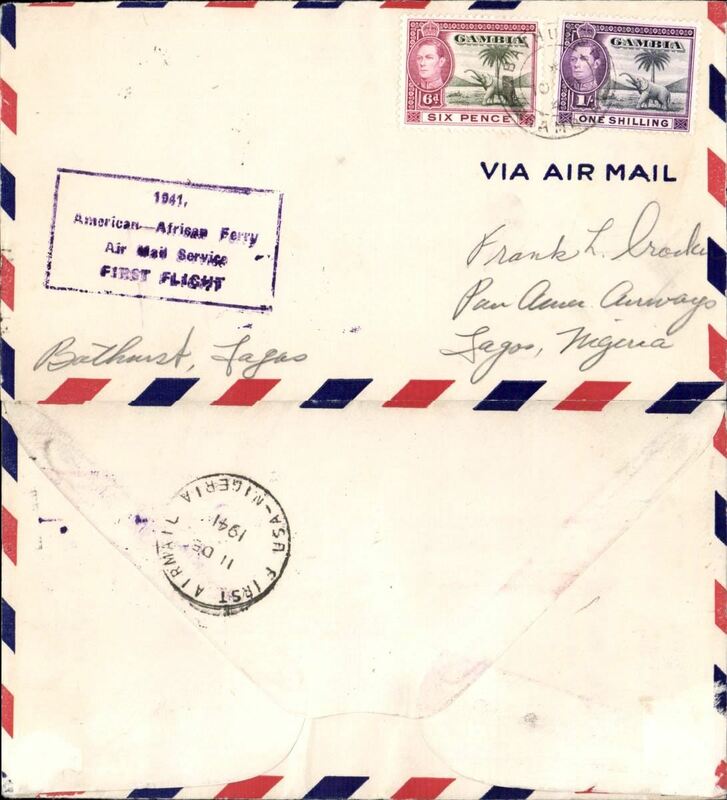 World War II, twelve Active Service air letters. 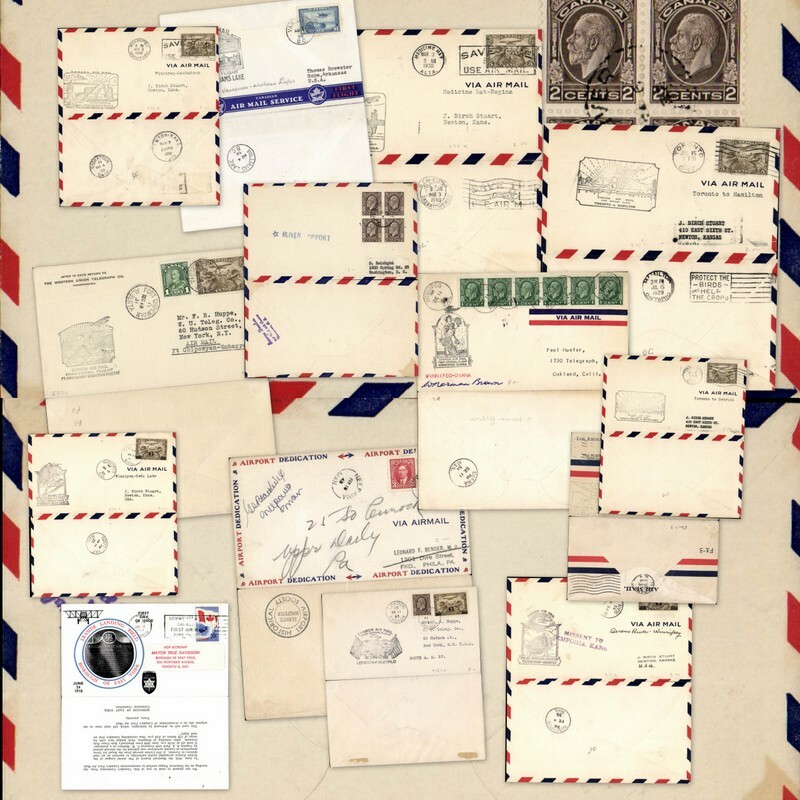 Great Britain, eleven airmail and first flight covers, 1931-39. 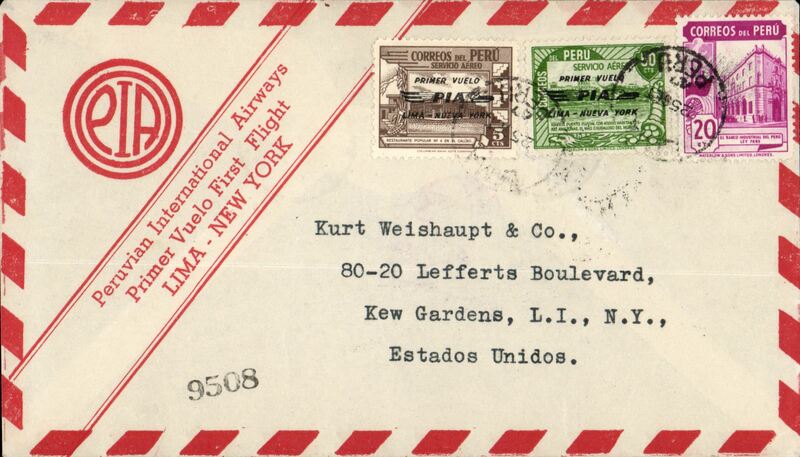 Transatlantic, ten first flights, 1930's (6), 1940's (2) and 1950's (2). United States, eight first or special flights, 1924-1929. 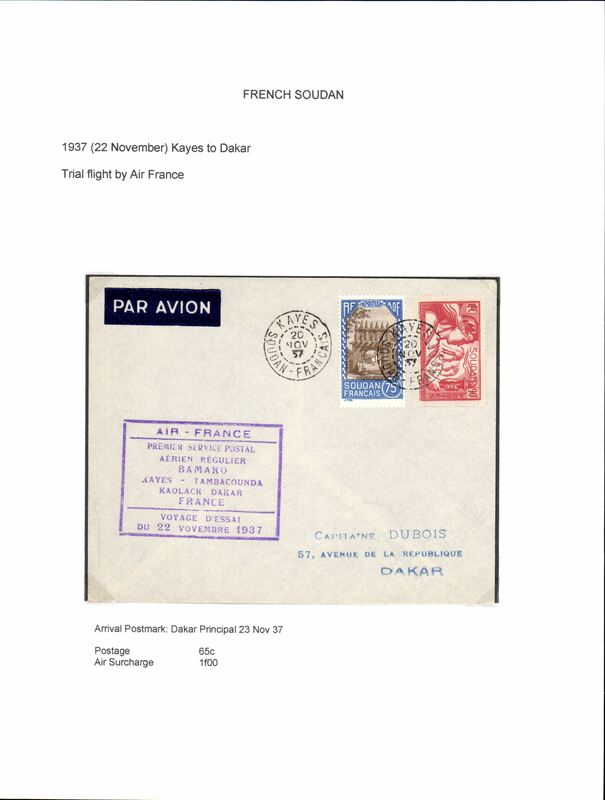 Europe, 34 airmail covers and first fights, including 1930's (2), 1940's (4) and 1950's (10). 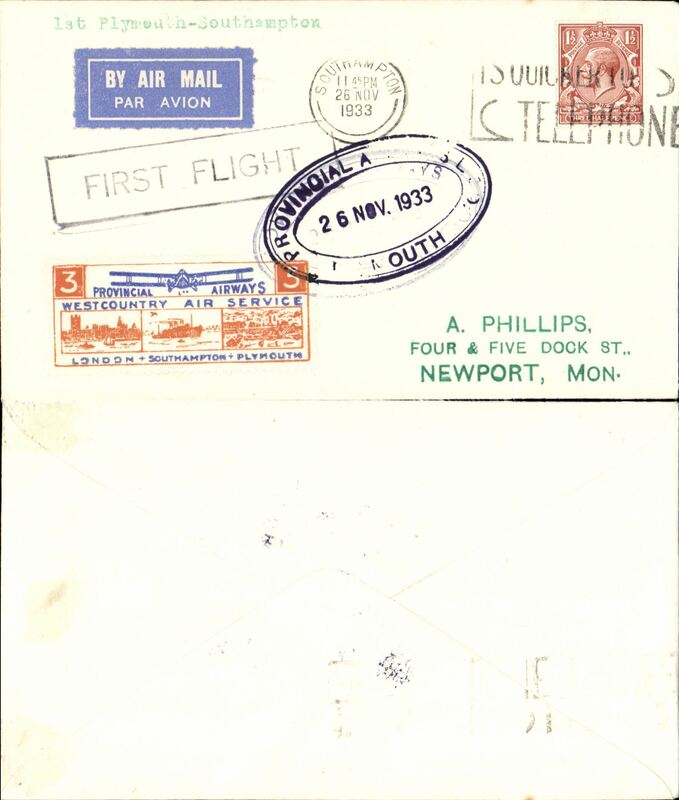 Imperial Airways airmail collection of 30 first flight covers from 1931-39, most cacheted and back stamped,originating from GB, South Africa, South West Africa, Australia, Sudan, Hong Kong and Kenya, and noted are 1934 first acceptance of GB airmail for Libya, London-Tripoli, 1939 Scarce first acceptance of mail from France for USA , 1931 Christmas proving flight Kisumu-Cape Town, 1931 Khartoum and Wadi Halfa F/F's to London, 1935 Hong Kong-Penang-London, 1932 London-Bahrain, 1931 All Australian Christmas flight Melbourne-London, 1931 Brisbane-London flown on return of first experimental flight England-Australia, 1934 London-Brisbane. All are scanned on the website. 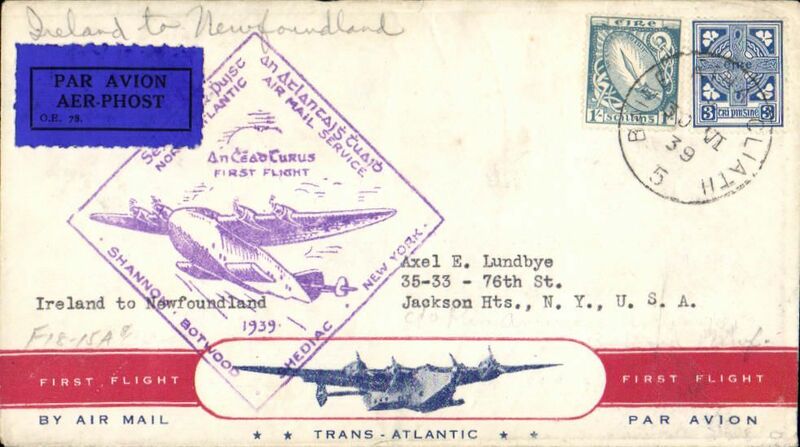 Canada airmail collection of 29 mostly first and special flights 1928-1931, no duplication. 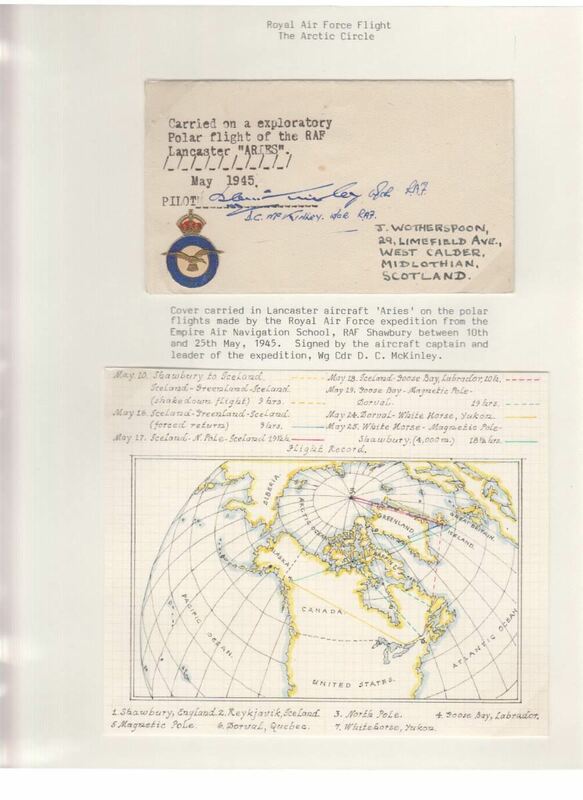 Also noted are 1932 St. Lawrence Seaway North Atlantic air-sea acceleration service 1927-39, first flight Ottawa to England via Bradore Bay, and 1943 World War II German prisoner of war northern trans Atlantic airmail from Canada to Germany, Internment Camp #132. All covers are scanned on the website. Pan American Airways collection of 48 FAM flights from 1935-49 with Asian, Australian, GB, Malayan, Hong Kong, New Zealand, European origins and destinations, 1935 (3), 1937 (5), 1938 (1), 1939 (20), 1941 (4), 1946 (8), 1947 (7), 1949 (3), good to fine. All covers are scanned on the website. 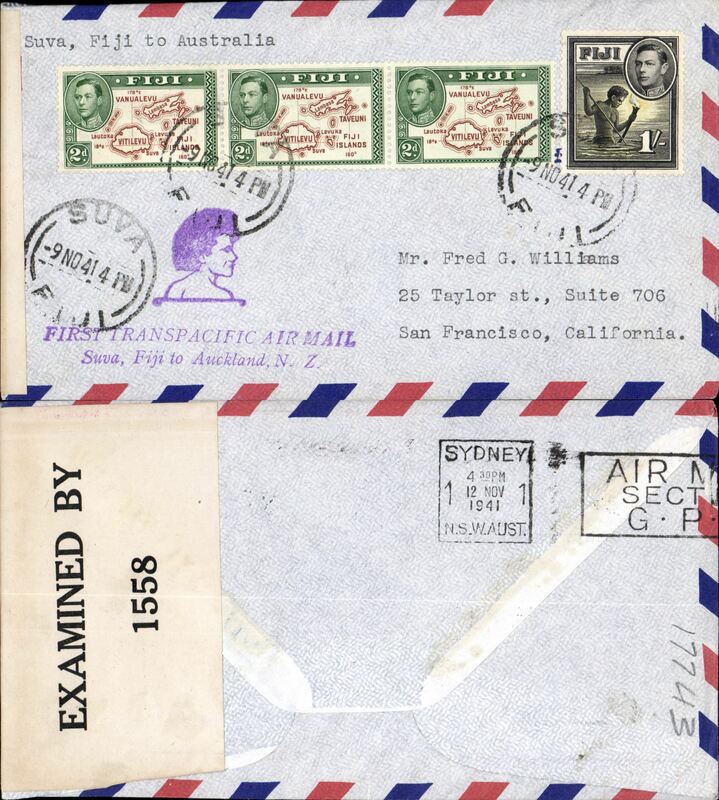 New Zealand collection of 59 airmail covers including many internal first flights - 1931-1936 , external F/F's to to Pago Pago, Honolulu and San Francisco, 1931-34 (8) to external destinations, 1934 Trans Tasman F/F's, 1938 F/F EAMS, Auckland to England, also 1950 to Scotland franked 2/6d 'arms', and few later special and commemorative flights. All lots are scanned on the website. 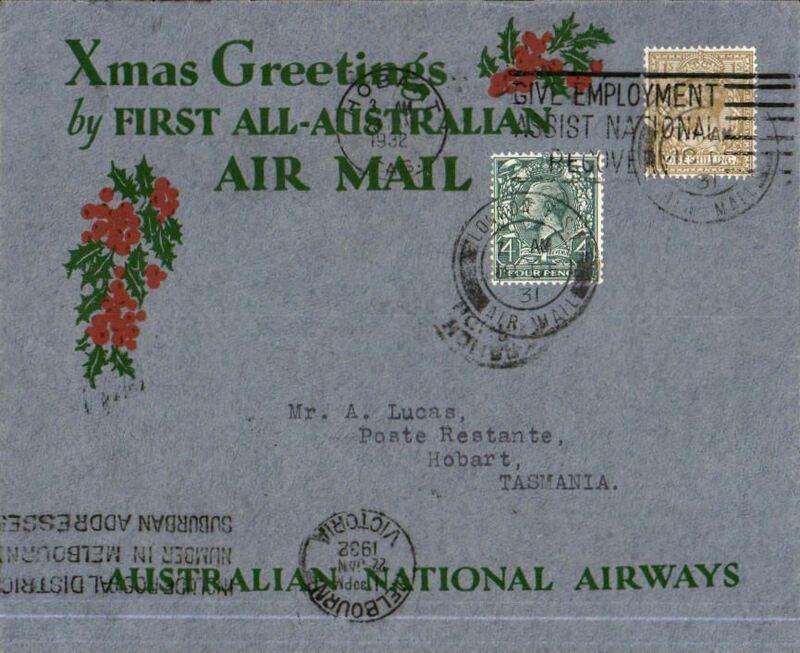 GB Externals, collection of 34 flight covers, mostly 1930's, including many first flights, noted are Tasmania acceptance for Kingsford Smith's return flight, England to Australia," All the Way" Christmas and New Year flight, London to Hobart, Imperial Airways Dec 1931, London to South Africa Christmas flights and March 1931 to Kisumu, 1959 Comet 4 to Singapore. All lots are scanned on the website. 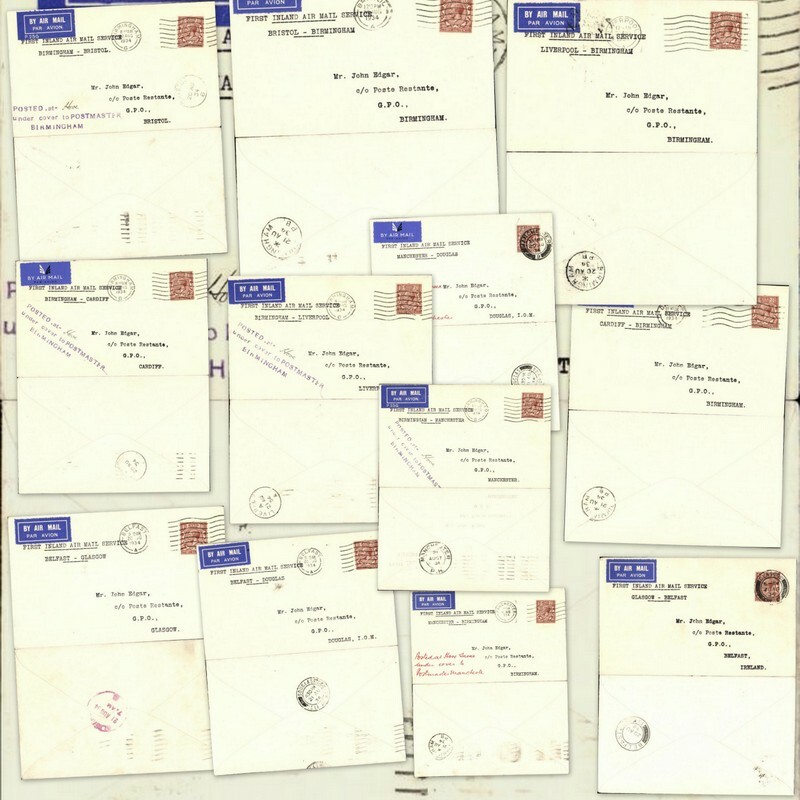 British internal airmail collection of 41 primarily cacheted first flight covers from 1911-1939. also 1951 and 1957, including UK First Aerial Post (2), 1935 1st Accelerated service from Shetlands, Allied, BEA & Aer Lingus, Geat Western, Guernsey, Highland, North Eastern, and West Country airlines, and Railway Air Services (15). All covers are scanned on the website. 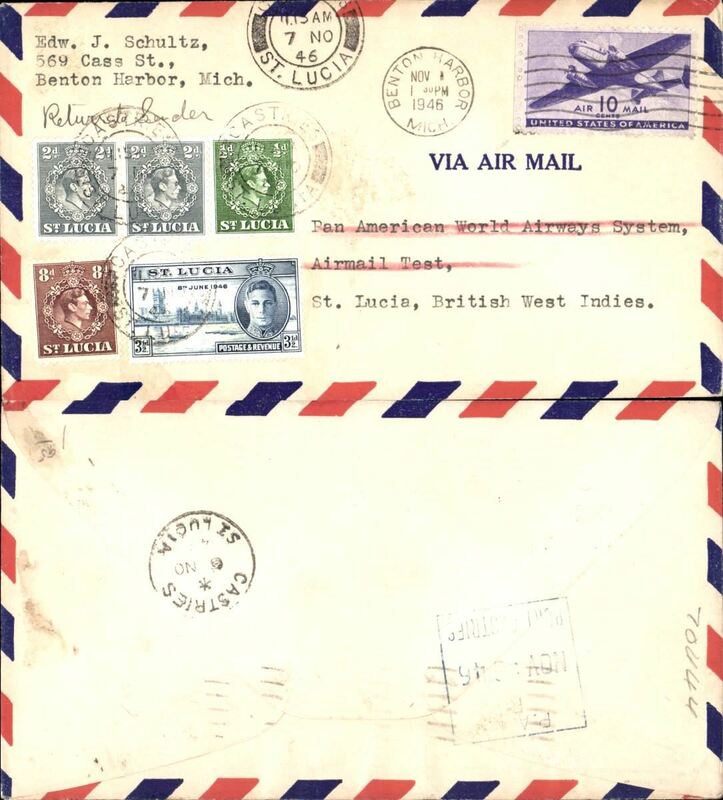 India 55 airmail covers, mostly 1930's and 1940's , four to Switzerland, three to Germany, eight to USA, six to Canada, two to Czechoslovakia, one to each of France, Holland,Hong Kong and South Africa, and the rest to GB, 25+ carried by Imperial Airways, six WWII censored , two 'not opened by censor', and two ms 'India/Lagos/USA'. Mixed condition but great for study of routes and rates. All scanned on the website.collection on the website. 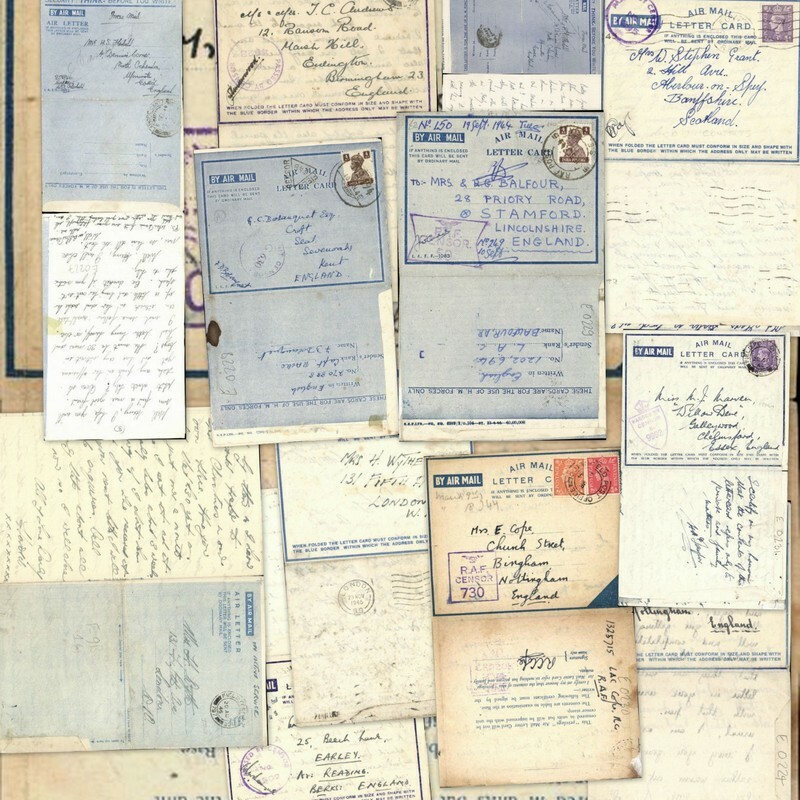 GB External, twenty 1930's airmail covers including 1933 to Brazil franked 4/-, F/F's to Germany, Czekoslovakia and Belgium (1930), Mwanza and Dar es Salaam (1931), Australia, Bahrain and S.Africa (1932), and Azores (1939). All scanned on website. 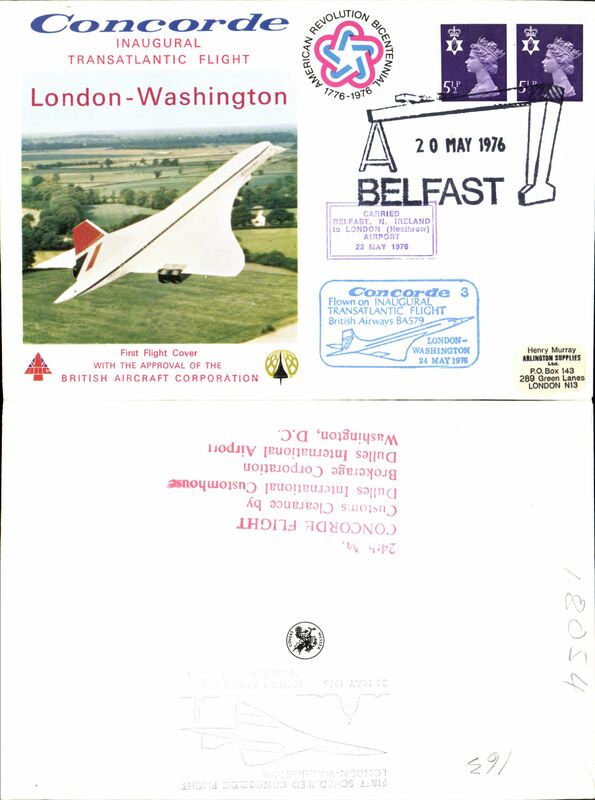 Concorde selection of ten F/F's 1976-78, plus 1977 inaugural London-New York flights ms. All scanned on website. 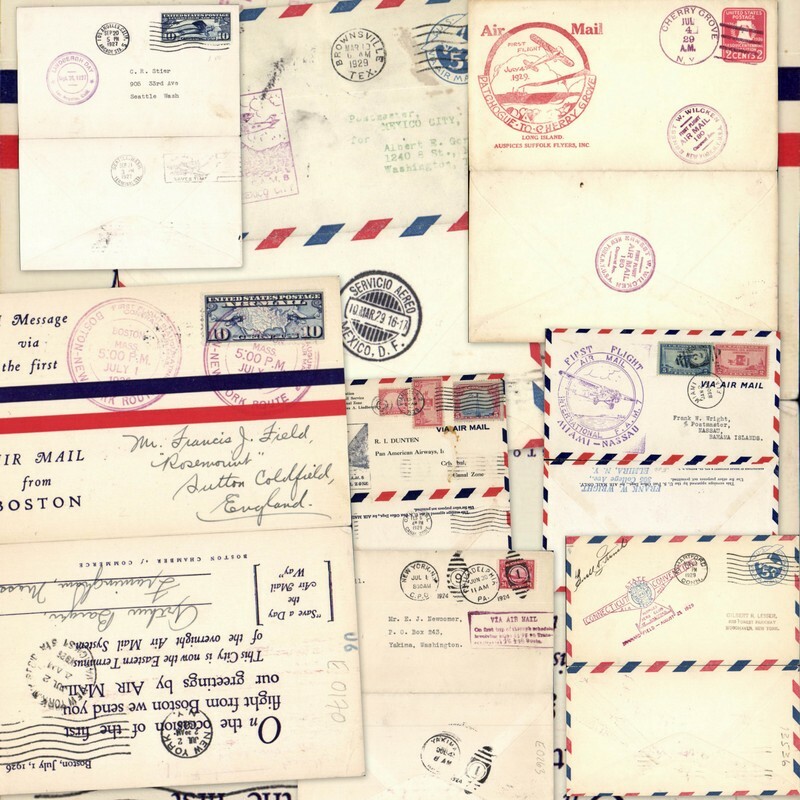 India, 35 airmail covers including early F/F's, noted are 1929 Karachi-London, Delhi-London, Calcutta-London (2), Johdpur-Delhi, 1933 Calcutta-Karachi, 1937 Bombay-Delhi, 1947 Calcutta-New York, 1960 Bombay-New York, 1964 Bombay-New Delhi. Useful starter lot, all scanned on website. GB Internal, nice selection of 22 first and special fights, mostly 1930's, including Northeastern Airlines, RAS, Great Western Railway, Apex, BEA, Allied Airways and a 1911 Coronation red envelope to Canada (worn, but intact). Pan American Airways collection of 50+ FAM first flights, 1930's (12), 1940's (26), 1950's (15), 1960 (1), 1962 (1) and 1964 (1) with Africa, Asia ,Australia, Malaya, Middle East, India, China, Hong Kong, New Zealand, Pacific Islands, Philippines, West Indies and South America origins and destinations, good to fine. See scans on website. 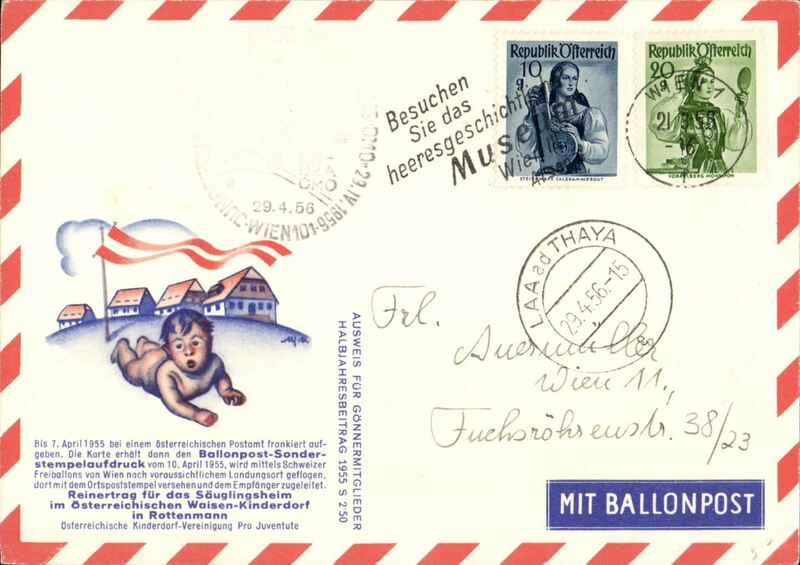 Austria, collection of 35+ balloon covers and cards, all scanned on website. 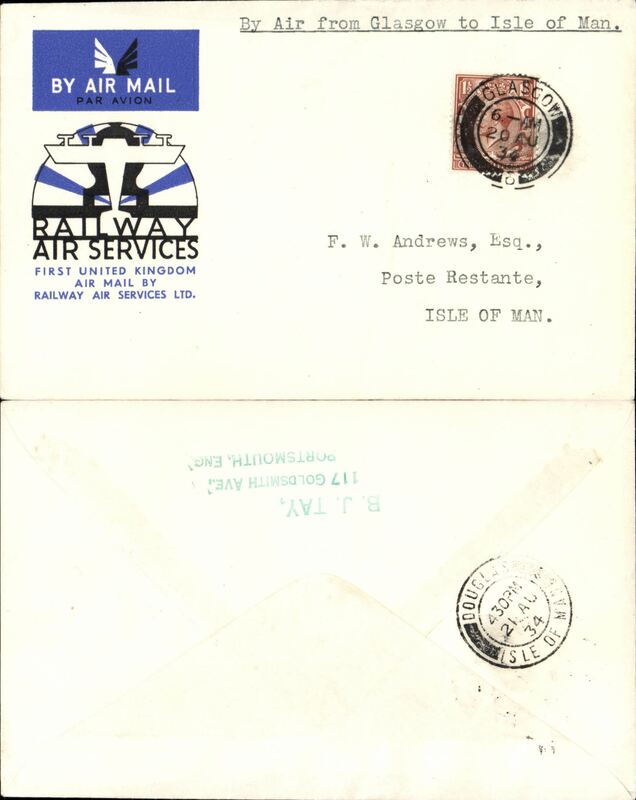 GB Railway Air Service, 20 first flights, all official blue/black/white souvenir covers and all postmarked 20 August, 1934. All scanned on website. Denmark, 30 first flights to worldwide destinations including South Africa, Spain, Indonesia, Malaya, canada, USA, Finland, Norway, GB and Thailand, also internals including first and last flights Anholt-Copenhagen and return. All scanned on website. 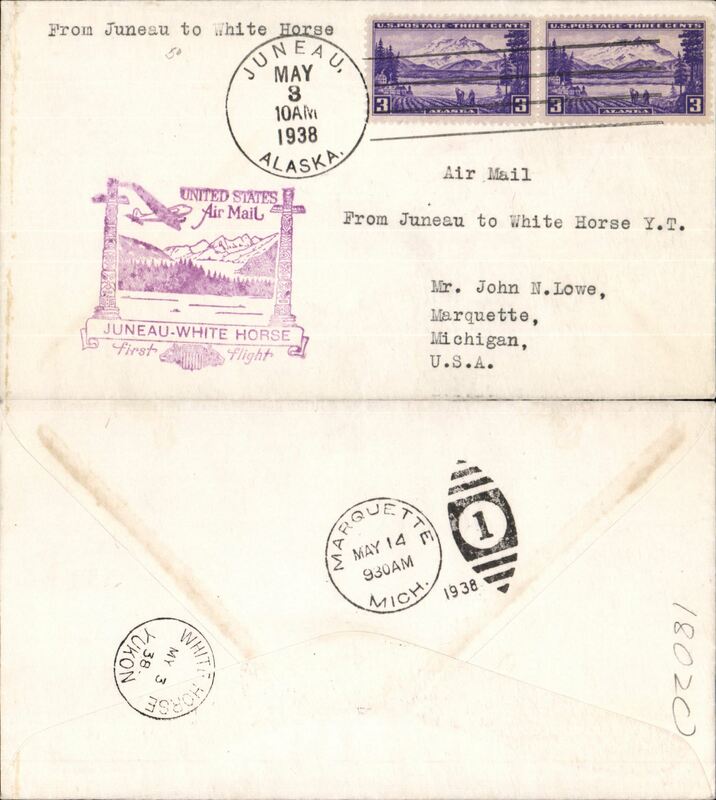 Alaska, seven first flights 1938-47, all scanned on the website. 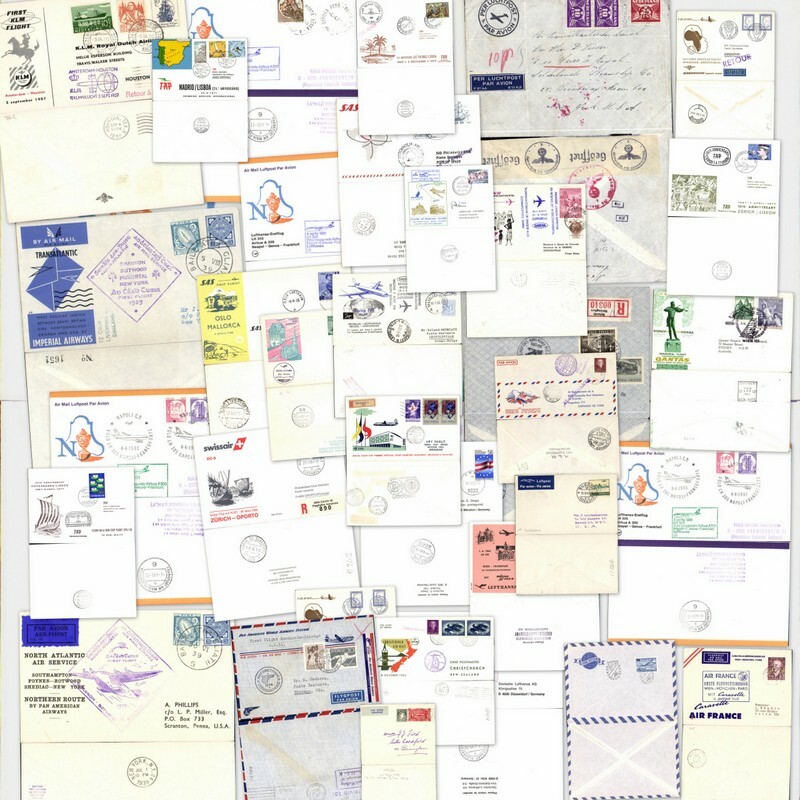 British Commonwealth collection of 50+ airmail covers 1923-67 of which 27 are 1930's, and 26 are first flights. 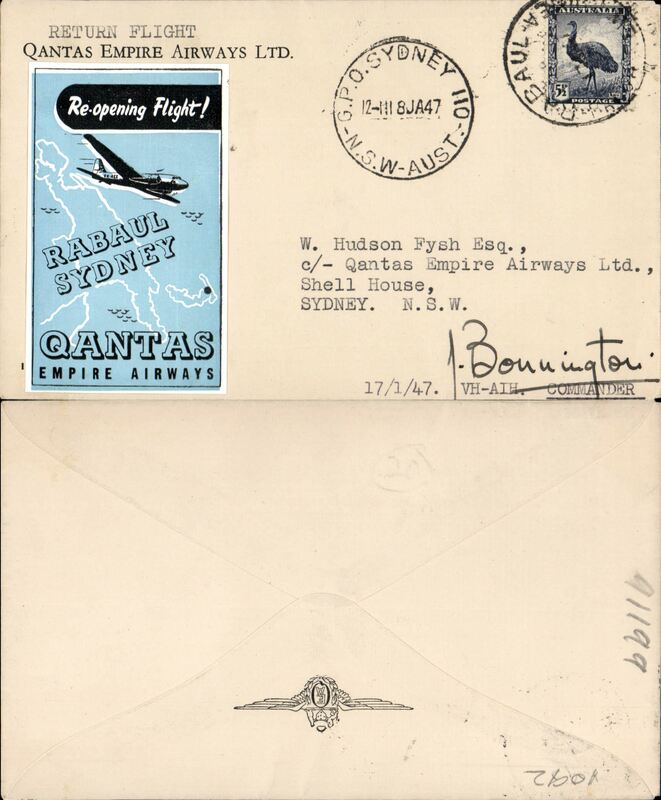 Noted are Newfoundland 1923 F/F Cotton flight, St Johns to St Anthony, 1931 South West Africa Airways first provisional internal service, Otjiwarongo to Tsumeb, 1935 Calcutta to Bombay Demonstration Flight, 1938 F/F EAMS London to Nauru, 1953 First day of extension of BEA letter service to Channel Is, Guernsey to Jersey, 1931 Return first experimental flight England-Australia, Darwin to London, 1933 Fiji F/F Lautoka-Suva, and 1934 NZ F/F Kaitaia-Sydney, 1955 Malta-Austria. All scanned on the website. The Latecoere 631 six engined civil transatlantic flying boat. Her design was far ahead of her time when first flown in 1942 but WW II, and Germany’s occupation of France, halted, what promised to be a fruitful career. Considered by many to have been the most beautiful flying boat ever. Only six were built, the first in 1942, four were bought by Air Francein 1947 for the Biscarosse-Port-ֹtienne-Fort de France route but were withdrawn from service a year later after one disappeared over the Atlantic. An immaculate 13 page display on exhibition pages showing 12 test/demo flights (one signed) and 6 PPCs. A rare and interesting collection. See scans on website. 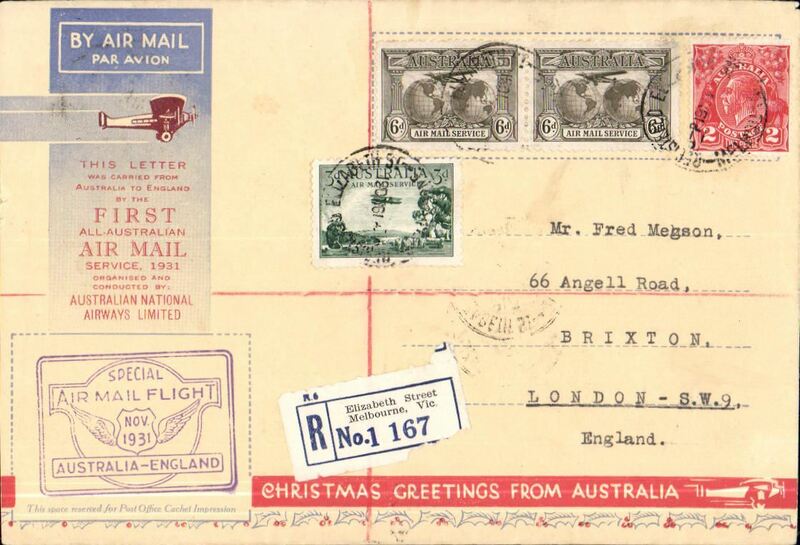 Australia, selection of 10 early airmail covers inc F/F's 1930 Sydney-Melbourne, 1930 Daily Waters-Camoomweal, 1931 Aust-UK franked K. Smith 2d,3d,& 6d(3), 1931 souvenir 'map' cover Aust-UK, 1934 Aust-PNG and return, 1934 Aust-NG, 1938 Australia-New Guinea, 1938 Normanton to Queensland cattle station, pilot signed. All scanned on website. 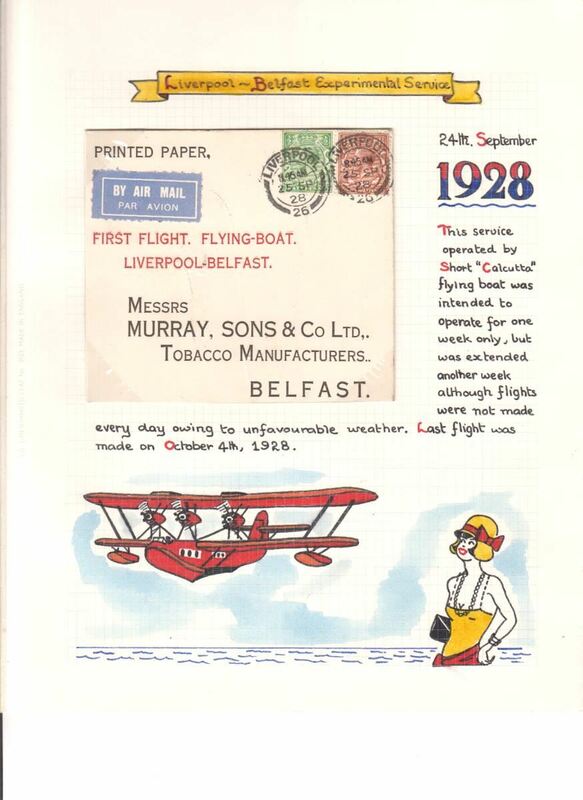 International Airlines Ltd (Western Air Express) 1934, a virtually complete eleven sheet display. 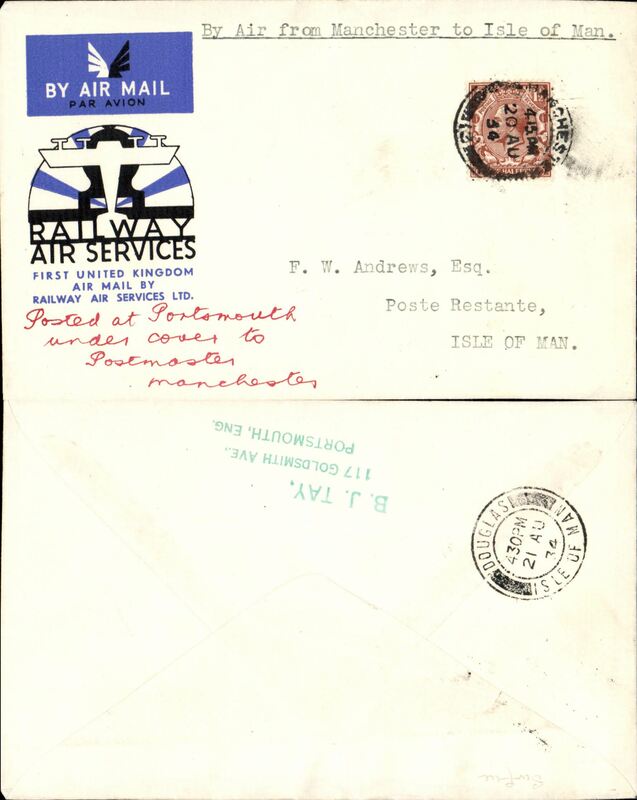 IAL/WAE was a pioneer GB airmail service, but it was poorly advertised and short lived. Relatively few covers were produced, and none are common, see Redgrove P18. The collection consists of the Aug 24th Director's 'Trial' flight; the Aug 25th London-Portsmouth, London-Plymouth and Plymouth-London F/F's each with black/yellow 3d and three line hs's; Aug 26th pilot signed Croydon-Plymouth and Sep 1st Croydon-Plymouth covers; a rare and, possibly not previously recorded, Croydon Sep 3rd Plymouth-London cover; an original newspaper cutting reporting the suspension of the service after only ten days; a block of four of the 3d air stamp; Portsmouth-Southampton, and Southampton-Portsmouth luggage labels; an IAL timetable; and an IAL publicity leaflet. A possibly unique display 'ready to go' for your next competition. Scans of each sheet in this collection will be found on the web site. NOTE: all leaves and stamps are fine. Any discolouration seen on a scan is from its cellophane protector. 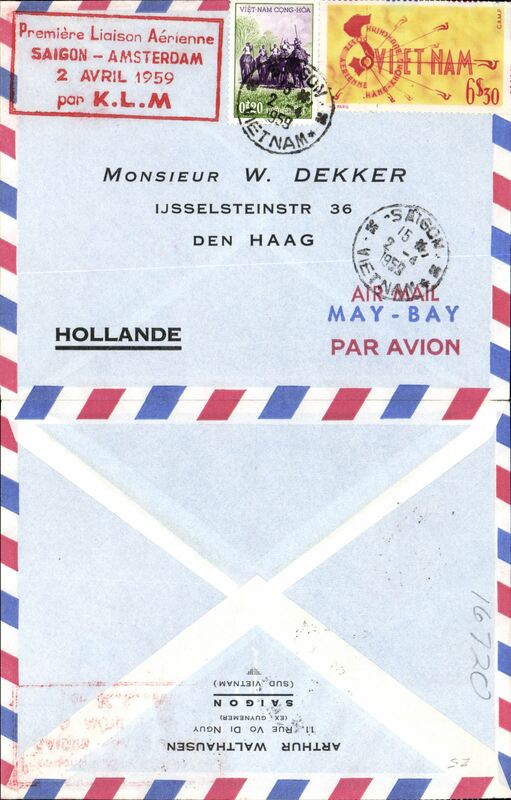 Europe, collection of 35+ airmails mostly 1930's-50's from Germany, Netherlands, Belgium, Saar and France and including 21 first and special flights Noted are 1930 Bremen catapult Germany-New York, 1933 KLM 'Pelikaan Gravenhage-Bandoeing, 1935 Hindenburg Frankfurt-New York, 1936 Amsterdam-Curacao, 1938 KLM Emergency flight to isolated islands, 1940 LATI Berlin to Rio de Janeiro, 1955 Hamburg to Portuguese India. Needs to careful examination, so view the front and back of each item in this collection on our web site. 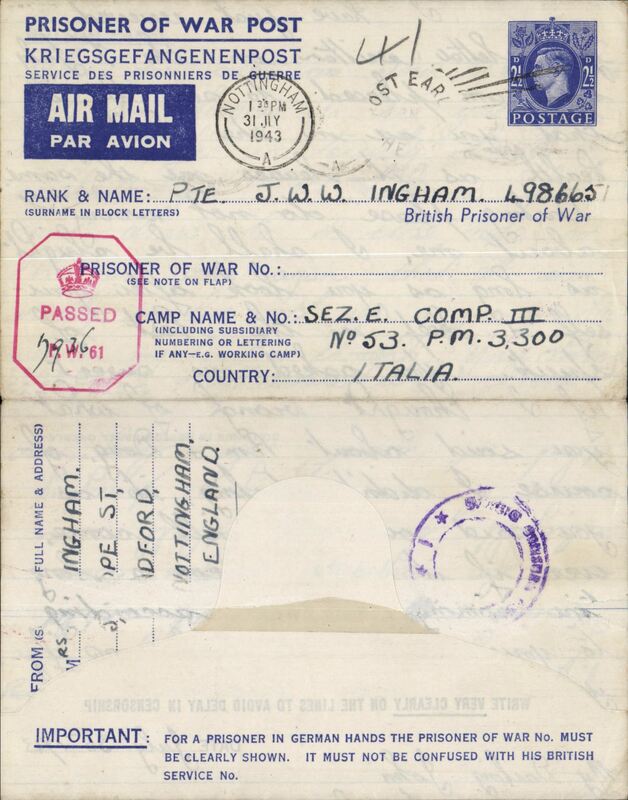 WWII Forces Mail, interesting collection of 20 airmail covers/letters, sent from GB, Australia, PNG, Italy and overseas PFPO's, noted are a Prisoner of War envelope to Italian POW camp with GB and Italian censors, green/buff 'Honour' envelope, a cover from Morotai, Indonesia to Hobart franked Australia stamp, and a 1957 letter with a fine Christmas Island/BFPO cds. See web site fro front and back scans of all items in this lot. 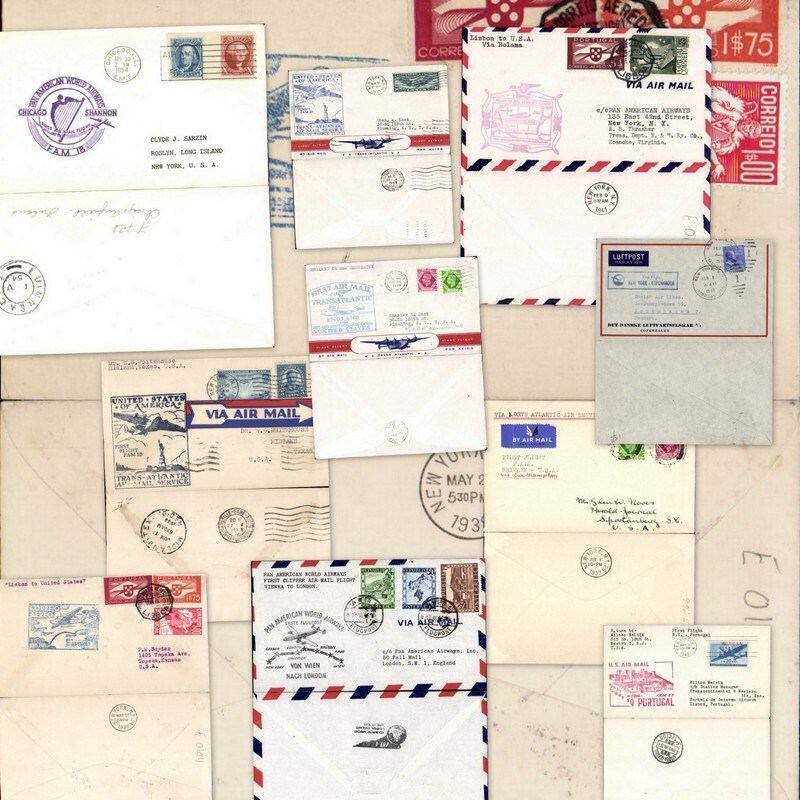 Asia Collection of 40+ airmail covers from 1937, mostly 1950-60's, from Taiwan, Indonesia, Japan, Nepal, Vietnam, Johore, Hong Kong, Malaya, Bangladesh, Malaysia and Thailand. Noted is a 1937 F/F Shanghai - San Francisco, 2mm trim lh edge,otherwise fine, 1960 Taiwan-Hong Kong, 1952 Saigon-Jakarta, 1959 Saigon-Amsterdam. The front and back of each tem in this lot can be viewed on the web site. 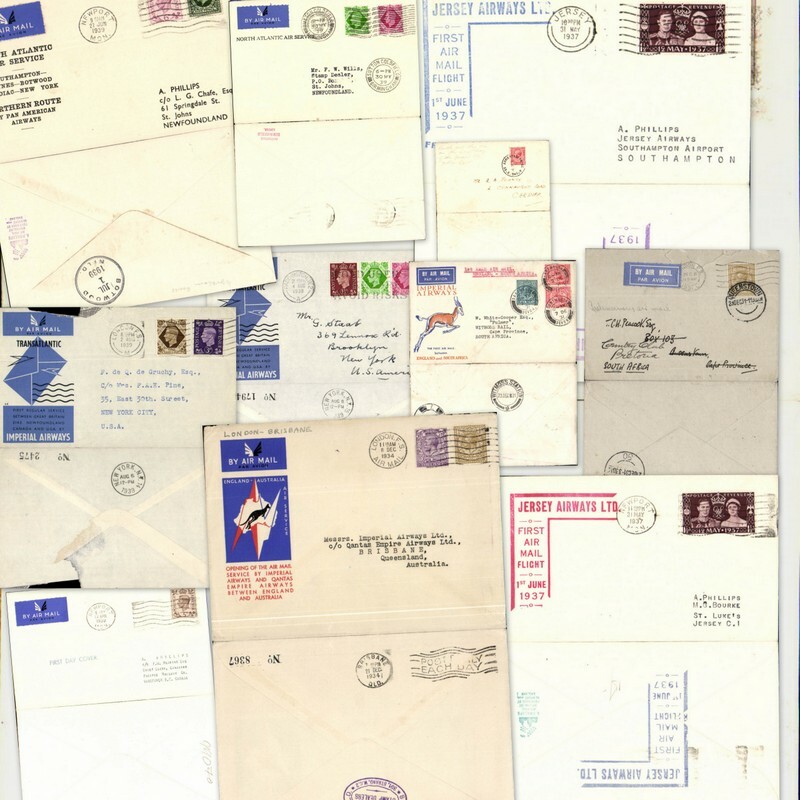 France, collection of 40+ airmail covers from 1926-39 (16), WWII (4), 1950's-60's,(20+). 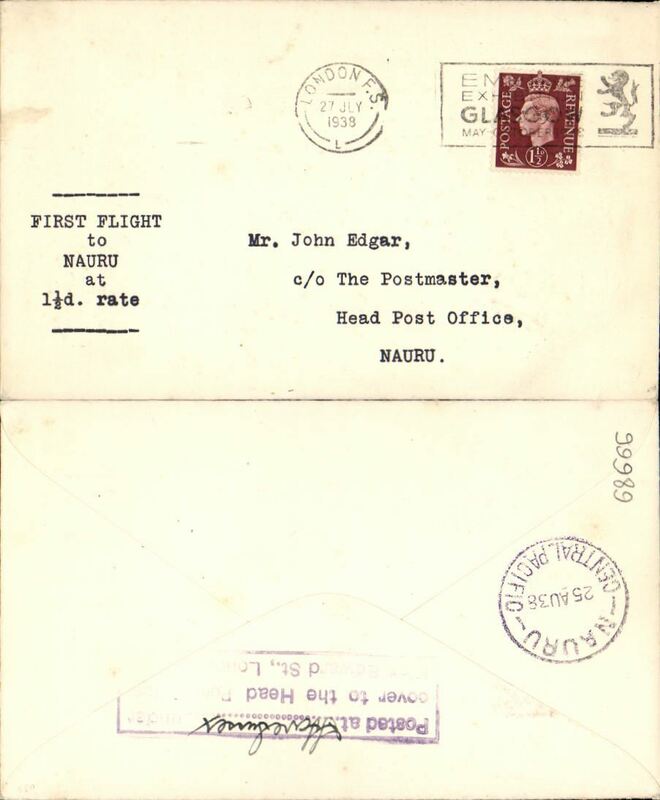 Many first flights, also noted are 1926 Paris to RAF, Hinaidi, Baghdad, 1935 F/F Paris-Corsica and 1935 F/F Paris-Madrid. Good starter lot, worth close inspection. All items are scanned on the website. 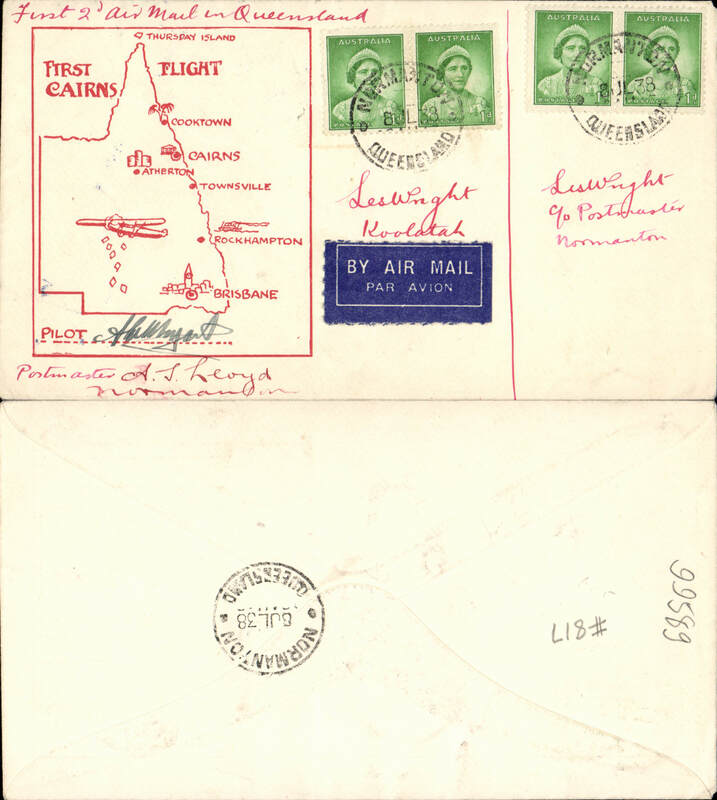 Madagascar, a fine selection of 16 airmail covers from 1934-39, carried by Air Afrique, Regie Malgache, Air France,Sabena, Compagnie Generale Transsaharienne and Societe des Lignes Aeriennes Nord Africanes (LANA), noted are 1934 LANA extension of Niamey service to Cotonu route and 1935 extension of Alger service toTunis, 1935 Sabena extension of Brazzaville service to Elisabethville, 1937 Tananarive to Prague, and another to Switzerland, 1938 trial flight Tananarive to Reunion, and 1938 first through service to Algiers by air Afrique. 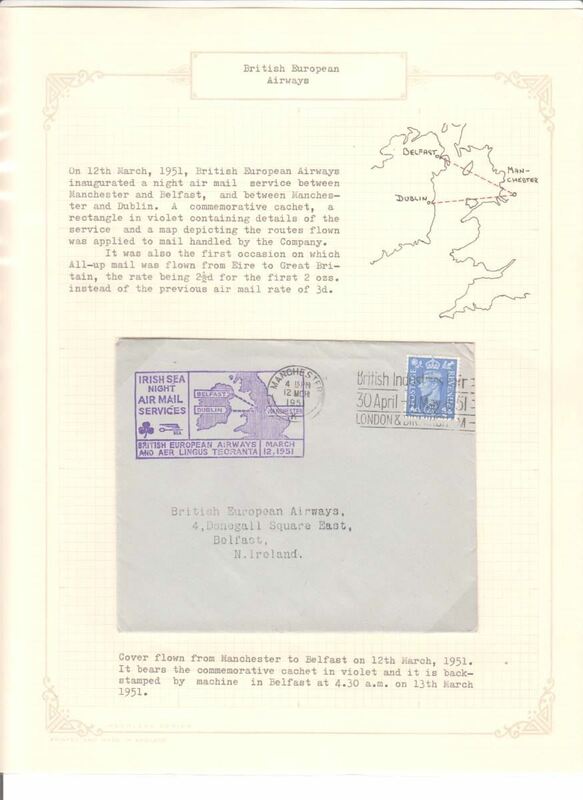 Written up on exhibition pages with details the carrier airline(s), the route taken, and the ordinary and airmail surcharge rates which were applied to that item - important supplementary data which would otherwise be difficult to gather. A scan of the front and back of each tem can be viewed on the web site. 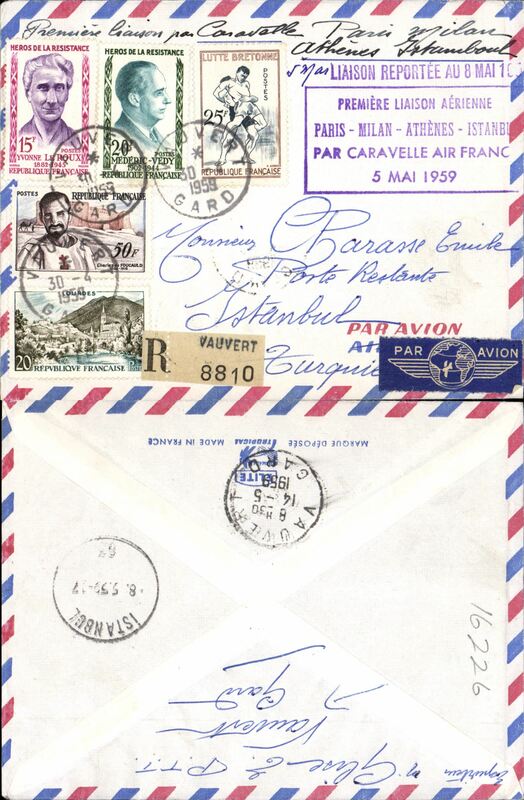 French North Africa, fine collection of 30+ airmail covers from 1919 (mostly 1930's) carried by Air Union, Compagnie Aerienne Francaise, Air Afrique, Aeropostale and Sabena, from Tunisia, Algiers and Morocco to France, Germany, Great Britain, Netherlands, Turkey, England, Switzerland. 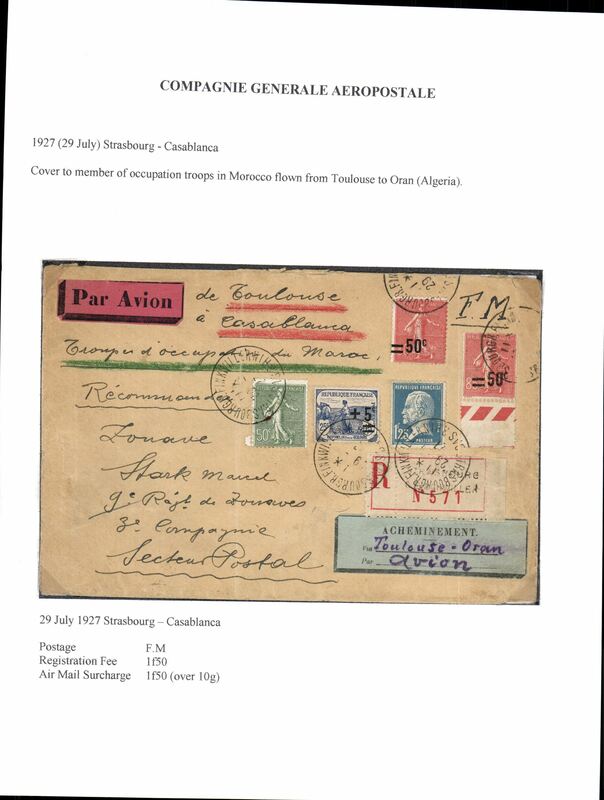 Noted several F/F's, interesting Jusqua's and directional hs's, 1944 censored Forces Mail, a 1919 Military Service F/F Zarzis-Ben Gardane and three early sepia PPC's. 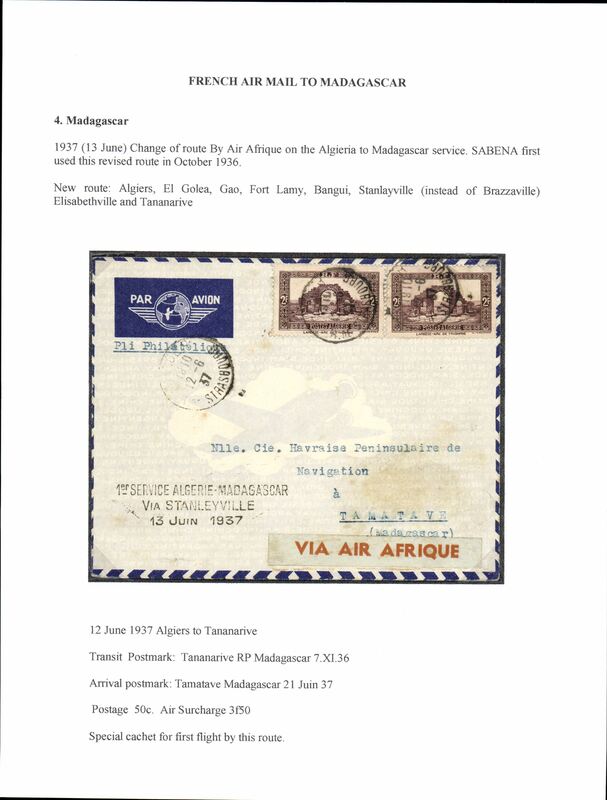 Twenty are written up on exhibition pages with details the carrier airline(s), the route taken, and the ordinary and airmail surcharge rates which were applied to that item - important supplementary data which would otherwise be difficult to gather. A scan of each tem can be viewed on the web site. 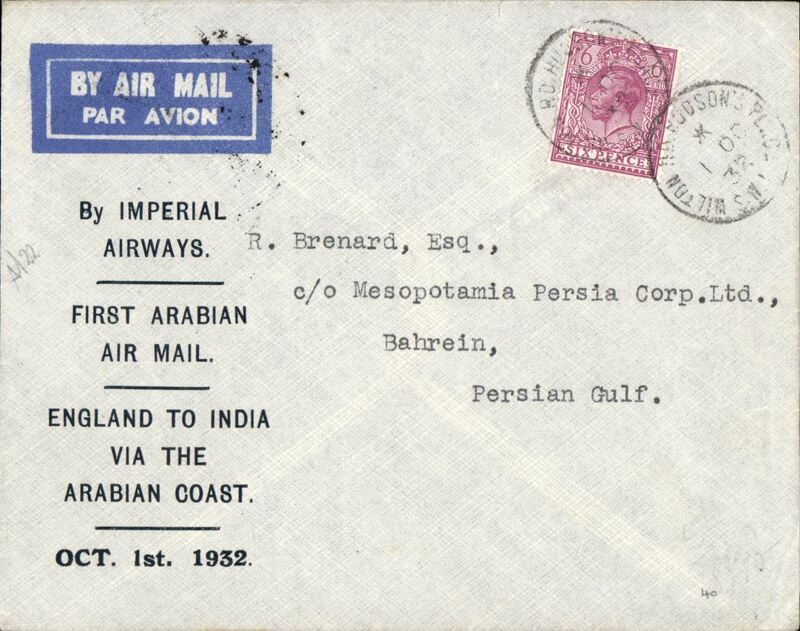 Farman Airlines (Lignes Aeriennes Farman) launched the world’s first international airline service on 22/3/1919 flying on a weekly basis between Brussels, Belgium, and Paris, and in 1922 opened a through service from London-Paris-Switzerland. 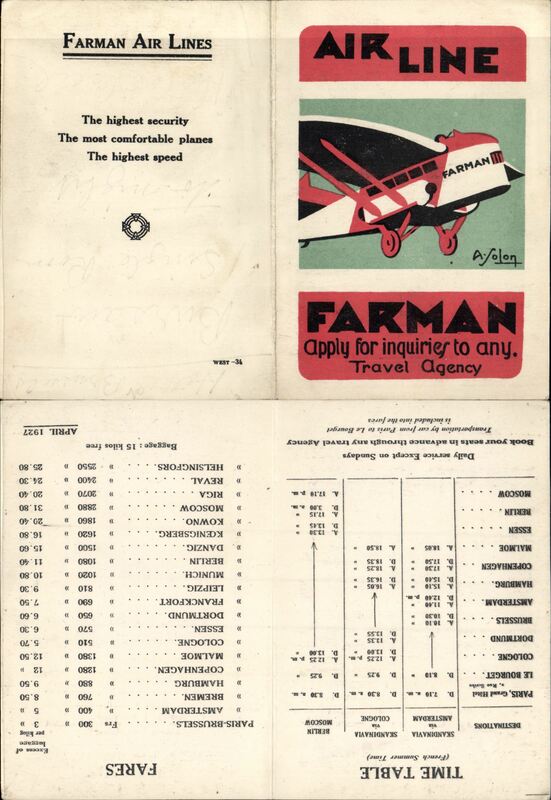 A 29 item study containing a 1927 time table and fares for the Paris-Amsterdam-Scandinavia, Paris-Cologne-Scandinavia, and Paris-Berlin-Moscow services, a summer 1933 Farman Airlines/Air Union timetable and fares for the France-England, Germany, Scandinavia, Holland, Belgium, Swizerland and the South of France, Marseilles, Corsica, North Africa services, 8 PPC's including six publicity cards produced by LAF (SGTA), an unused LAF/SGTA radiotelegramme form, an LAF route map and one page history, two posters (one original), ten covers flown by LAF (1922-33) and written up on album leaves, a 1929 LAF vignette, an August 1933 letter written on Air Union/Lignes Farman company notepaper, and a two page article on Pioneer Farman airliners. Will make a superb, and rare, exhibit. A scan of each tem in this collection can be viewed on the web site. Ireland, a four sheet collection of 47 airmail stamps 1948-65, Sheet one consisting of 1p, 3p, 6p, 8p, 1/- and 1/3d (all x2) mint; Sheet two with a 6p block of 6 and a 1/5d block of 4 mint; Sheet three with an 8p block of 6 (one with angel's right hand flaw, and a 1/3d block of 4 (one with an extra wing feather) mint; and Sheet 4 with complete fine used set f values 1d to 1/5d. Scans of each sheet will be found on the web site. 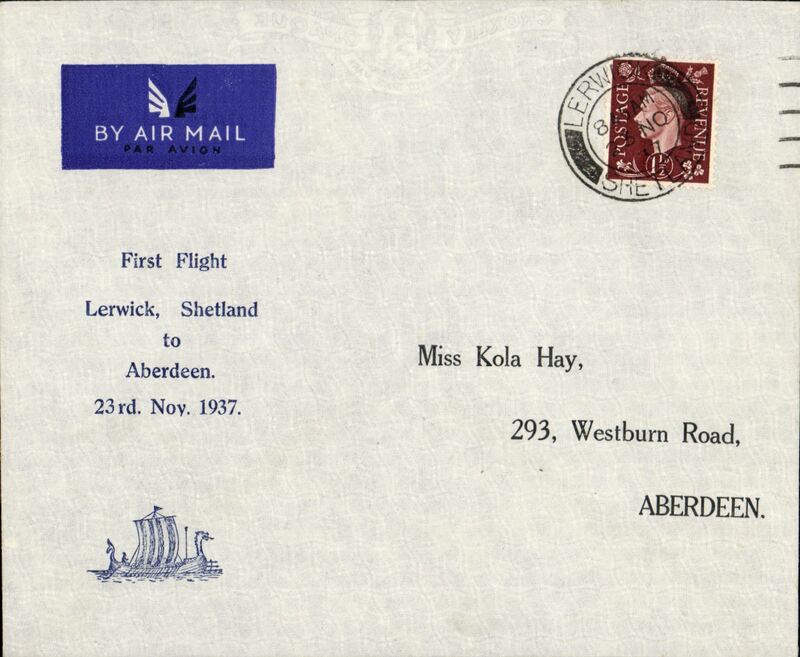 Great Britain Internal, selection of 14 airmail covers, noted 1933 Provincial Airways Plymouth-Southampton, 1934 Apex cover with full set of vignettes and green Apex cachet, 1938 North Eastern AW F/F Doncaster-London, 1934 four F/F's Highland Aiways Inverness-Wick-Kirkwall service, 1937 Shetland Air Mail Service Shetland-Aberdeen (1cm non invasive closed top edge tear, and rough opening verso, see scan). Front and back scans of all items in this lot can be viewed on the web site. 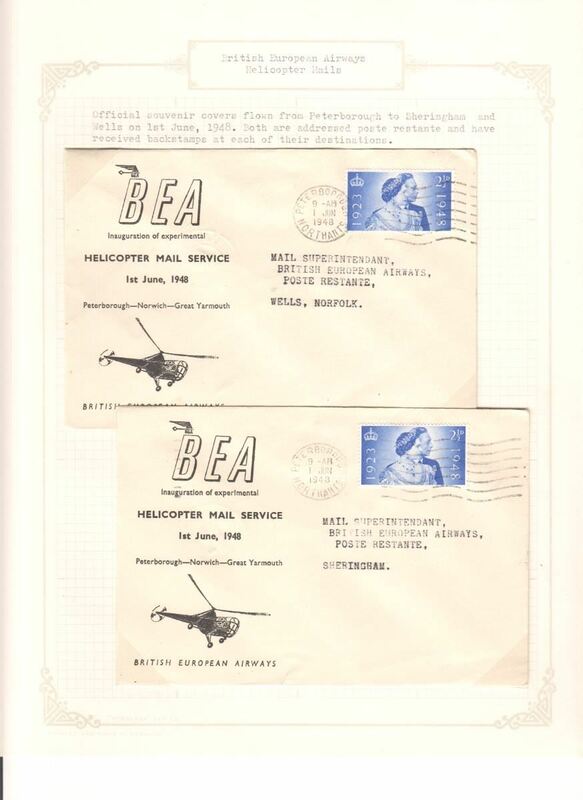 BEA experimental mail carrying helicopter service established in East Anglia on 1/6/48, a collection of 9 covers displayed on 10 sheets including Peterborough to Kings Lynn, Wells, Sheringham, Cromer, Norwich and Great Yarmouth; and from Great Yarmouth to Peterborough and Norwich to Peterborough. 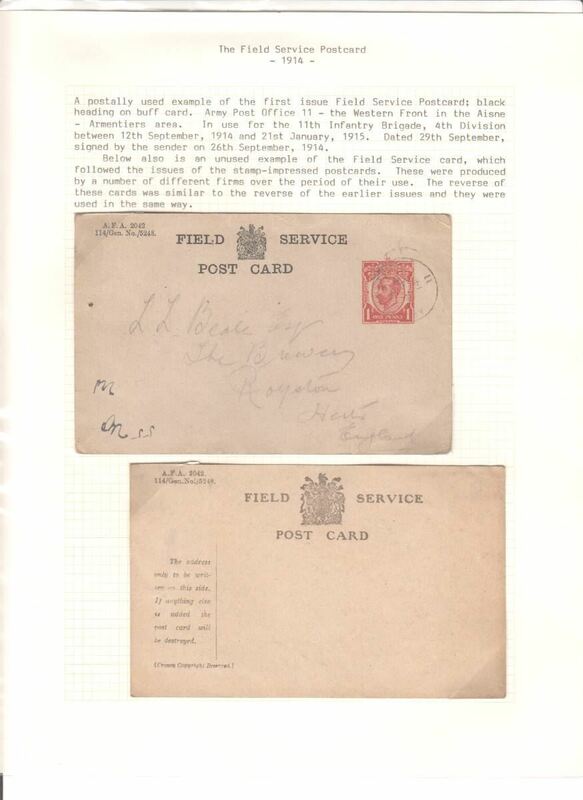 Also Peterborough to Norwich and same day return and letters from BEA, PO Peterborough and PO Thetford. 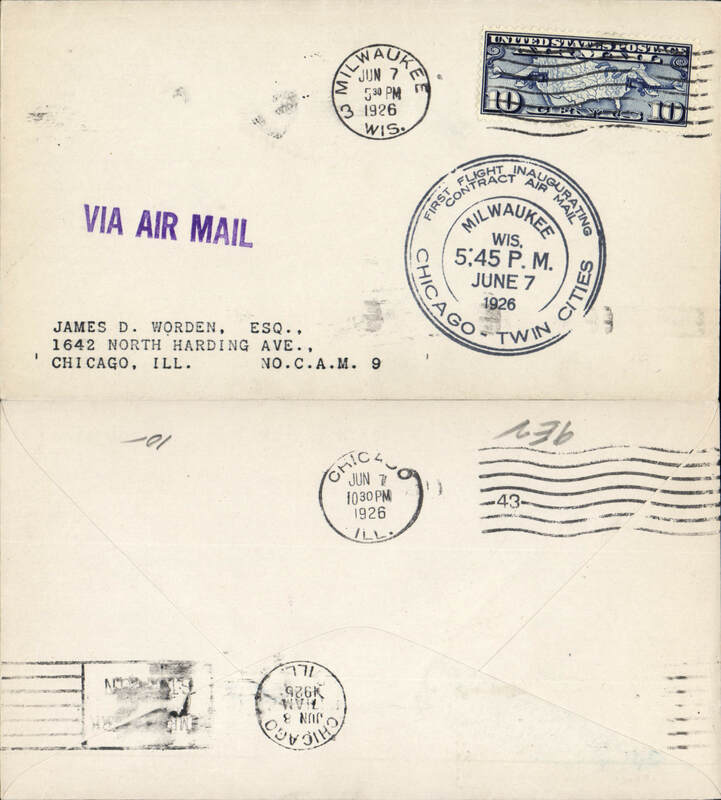 United States 1926 Contract Air Mail First Flights (15), all 1926, fully cacheted and back stamped, no duplication. Scans of the front and back of all covers in this collection will be found on the web site. West Country Air Service Provincial Airways Ltd, colour trials on card, nine pairs and two singles, including several inversions. 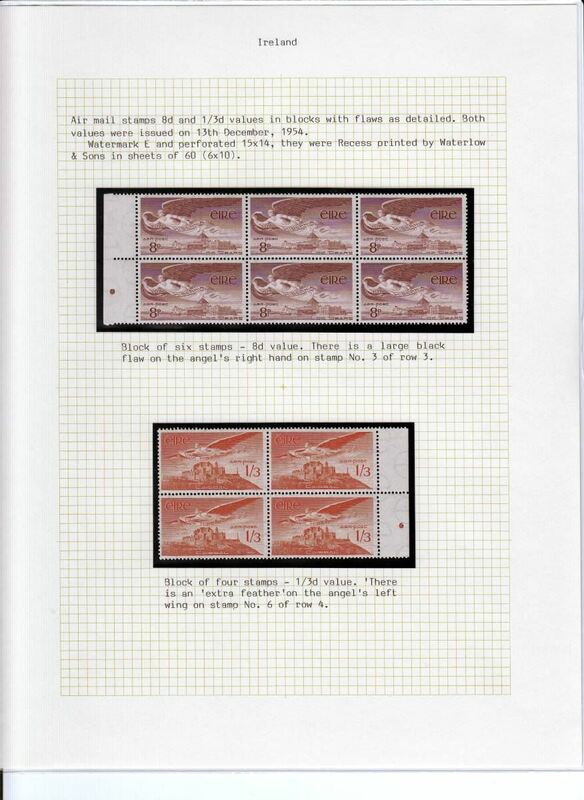 Also a booklet pane of five stamps, and one single. Scans of all items in this collection will be found on the web site. NOTE: all leaves and stamps are fine. Any discolouration seen on a scan is from its cellophane protector. 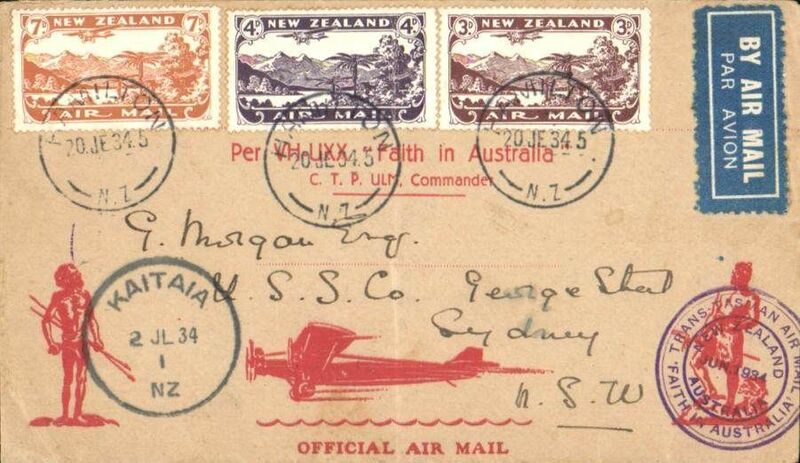 Papua New Guinea, collection of 14 airmail covers from 1934, including seven first and special flights, noted are 1934 F/F NG to Australia, 1934 F/F Papua-Australia, 1936 Papua to Melbourne Cup, 1947 Qantas return flight Rabaul to Sydney signed by pilot ,1956 Taskul Patrol Post/12 Aug 56. See web site for front and back scans of all covers in this lot. 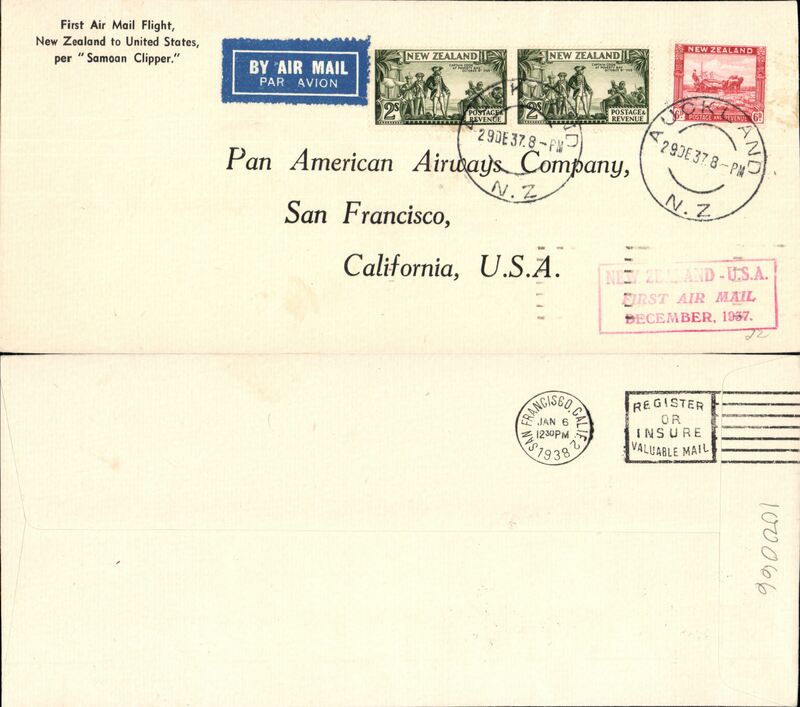 Pan American Airways collection of 22 first flights from 1930 covering a wide variety of routes, foreign frankings include Ireland, Panama, Nigeria, Brazil, Philippines, France, Portugal, Czechoslovakia and New Zealand, nice array of cancels, cachets, markings and routes. 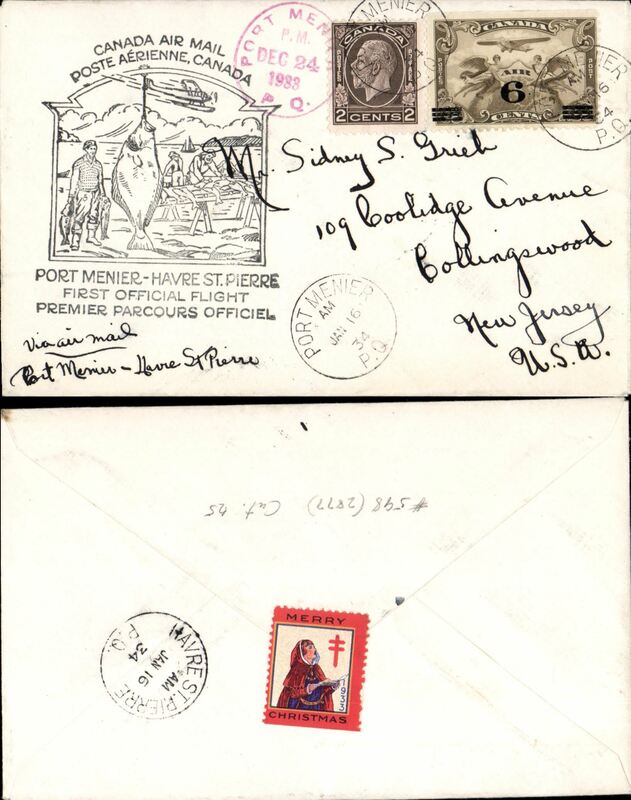 Noted 1930 Panama-Havana, 1937 Auckland-San Francisco, 1937 San Francisco-Hong Kong, 1941 Lagos to Bathurst, and another to Belem, See web site for front and back scans of all covers in this lot. 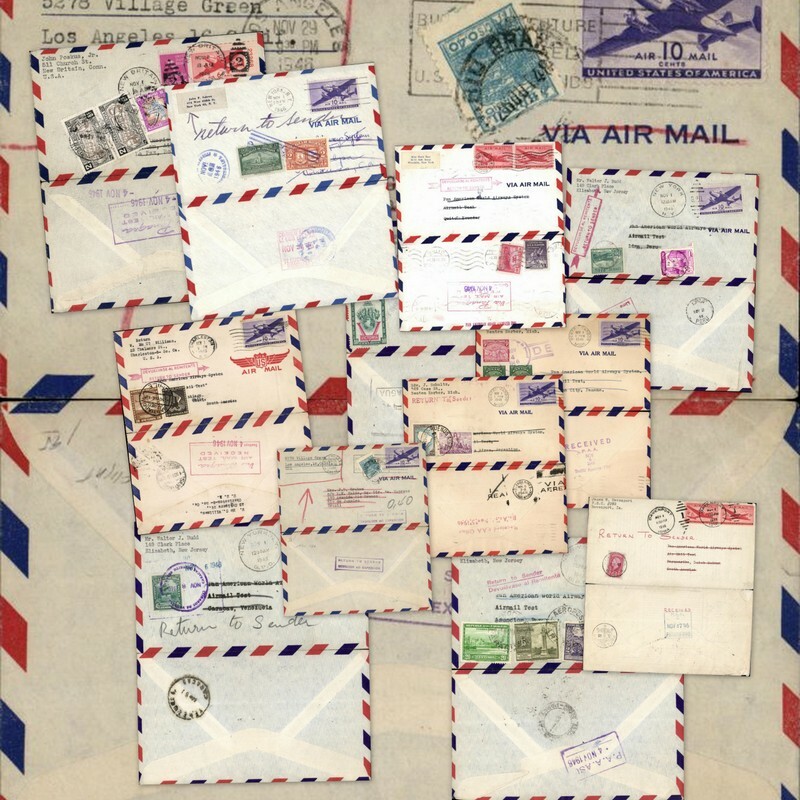 Compagnie Generale Aeropostale, 1924-32, a selection of 17 airmail covers carried wholly, or in part, by CGA to/from, Belgian Congo, Senegal, Morocco, France, French Sudan, Algeria, Czechoslovakia and Switzerland. Written up on leaves with useful information such as routes, other carrier airline(s), and the ordinary and airmail surcharge rates applied to that item - data which would otherwise be difficult to gather. A nice starter lot. 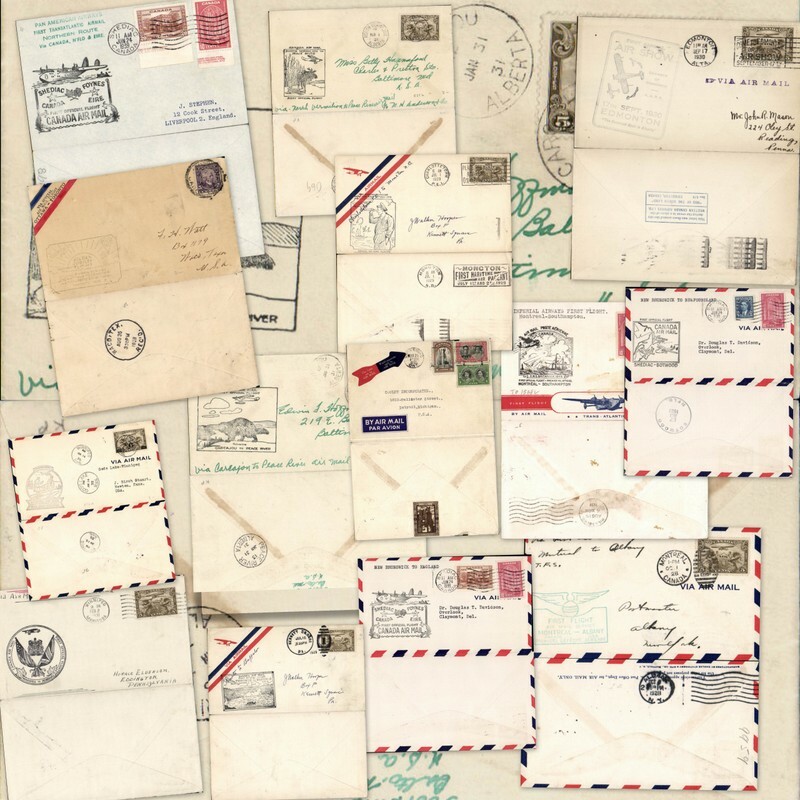 Ireland, collection of 25+ air mail covers including 14 first flights, noted 1928 Experimental Flying Boat to England (2), 1929 Galway-London, 1932 Galway-Berlin, 1939 IAW to New York, 1939 Pan Am to Shediac, and another to New York, 1951 BEA Night Airmails (2), Aer Lingus 1964 Dublin-Canada and 1965 Dublin to Dusseldorf. All scanned on website. 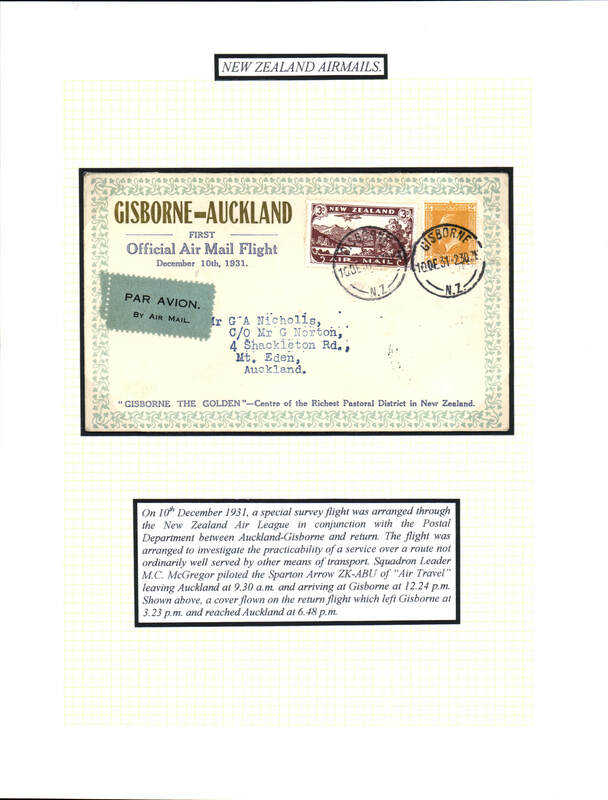 New Zealand, superb and moderately priced starter exhibit of 10 first flights from 1931-35 each mounted on an album leaf with a detailed explanatory text. 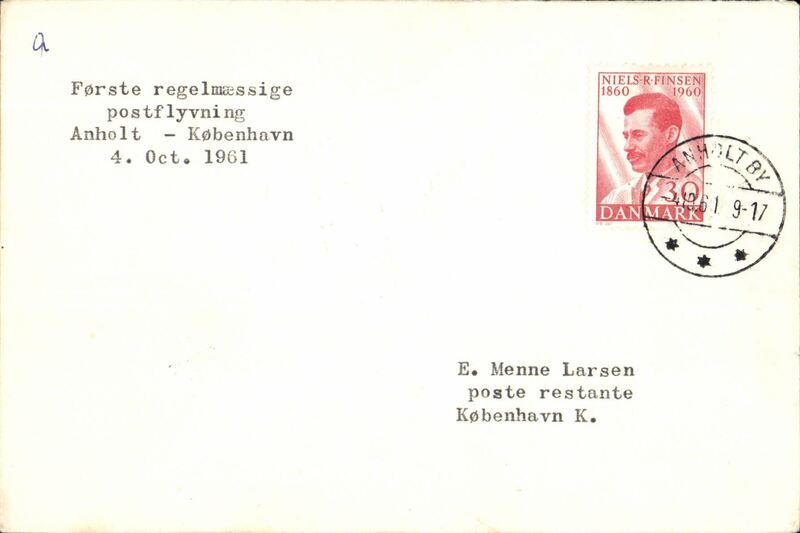 Noted are several attractive and uncommon souvenir covers.